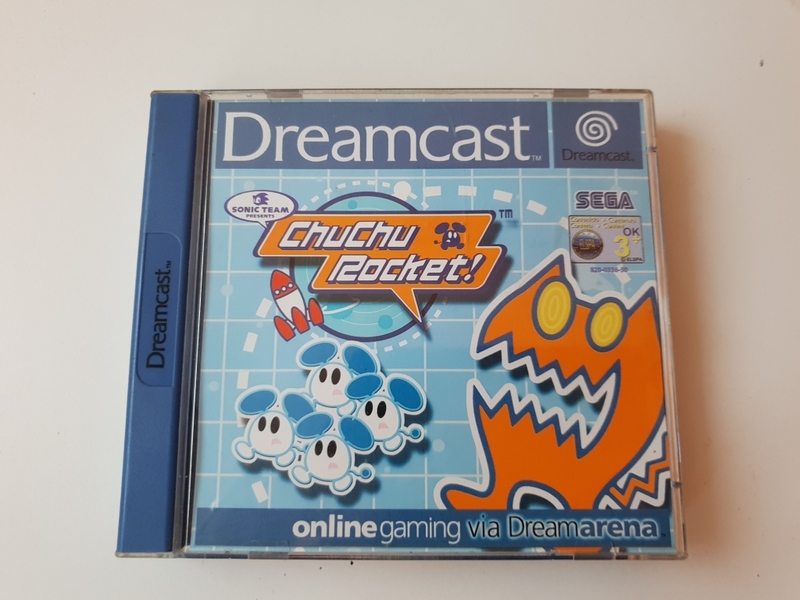 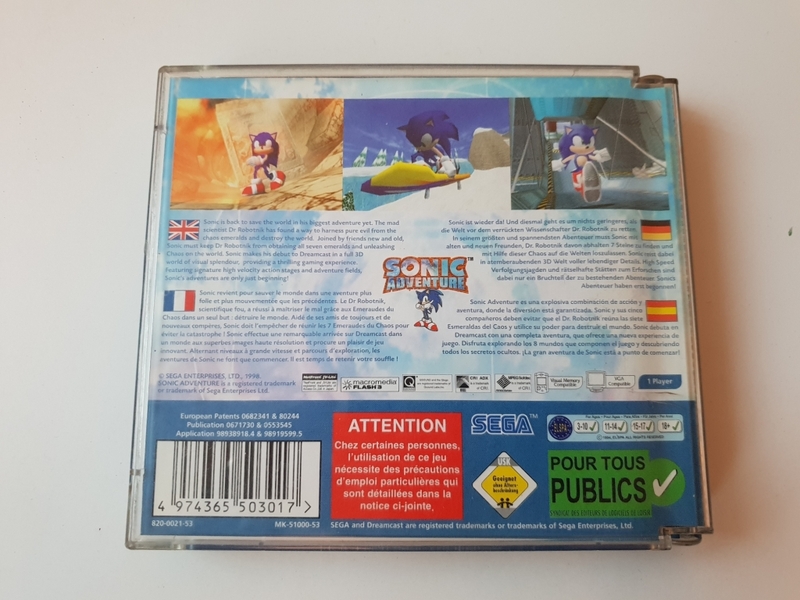 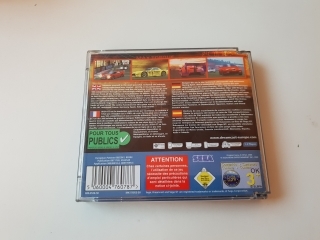 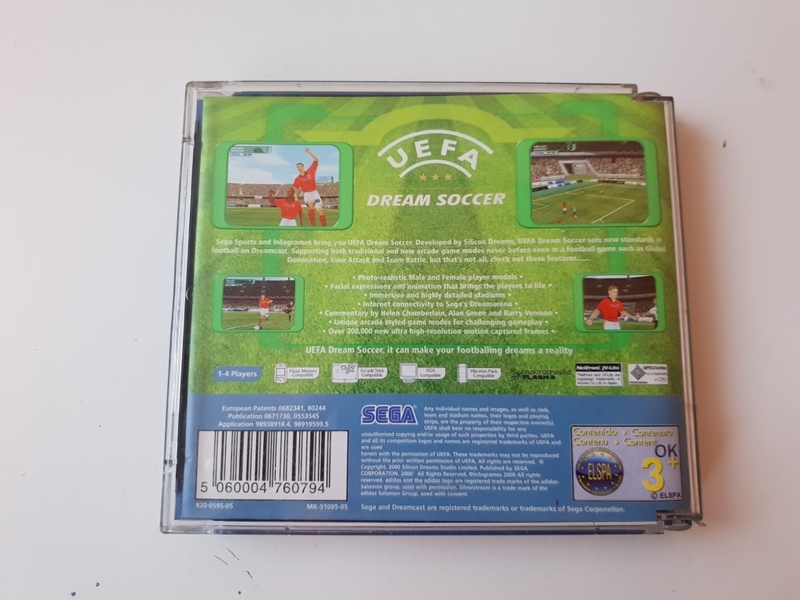 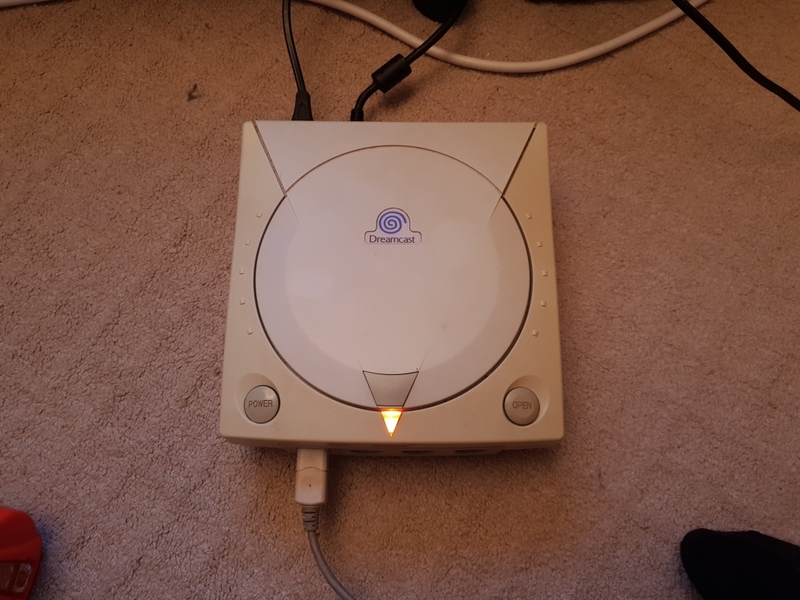 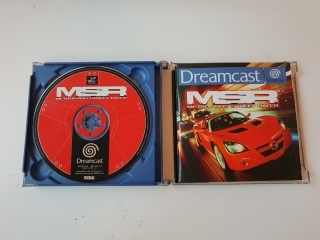 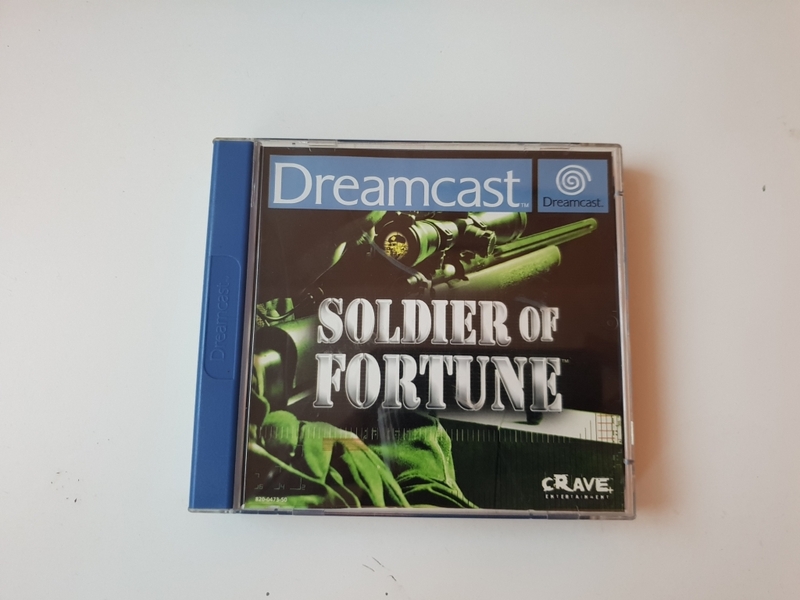 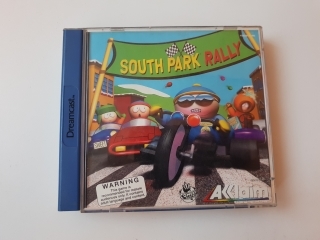 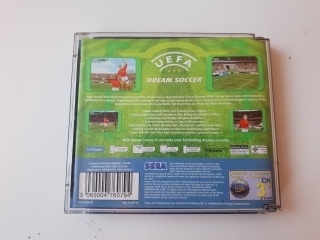 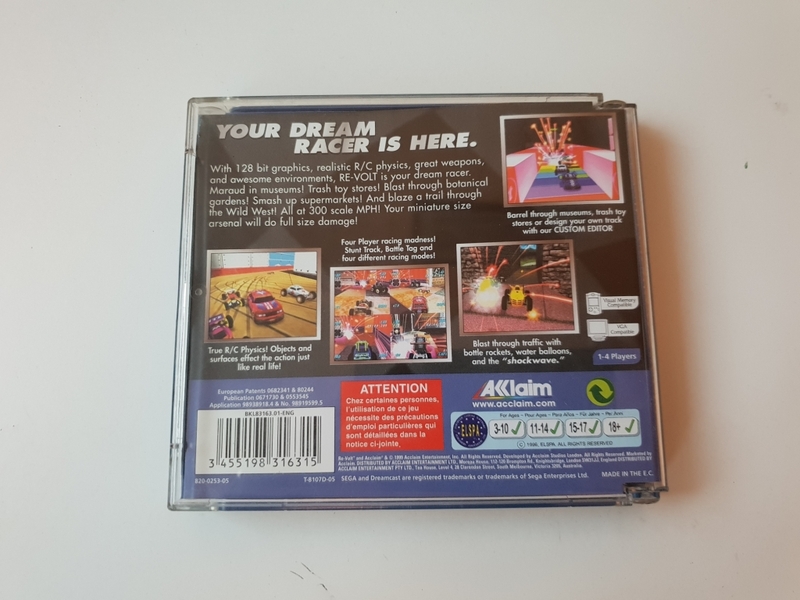 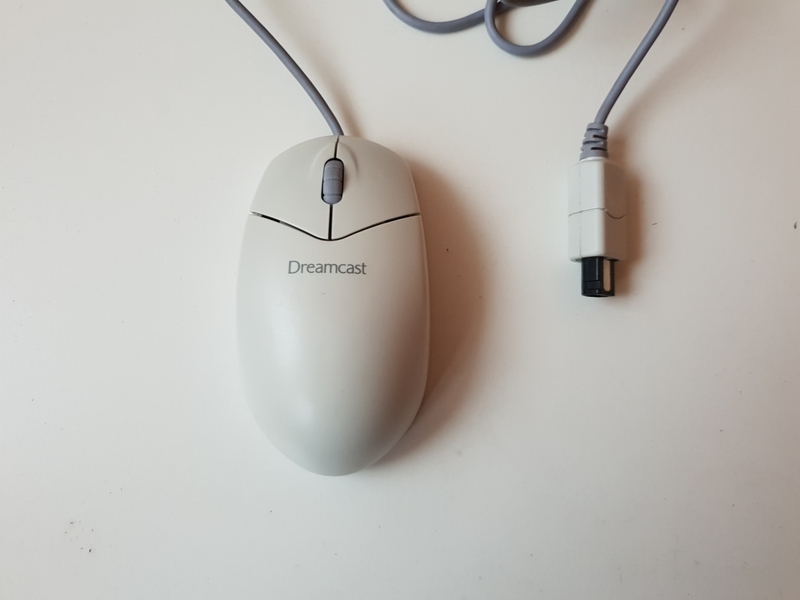 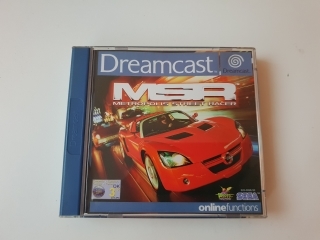 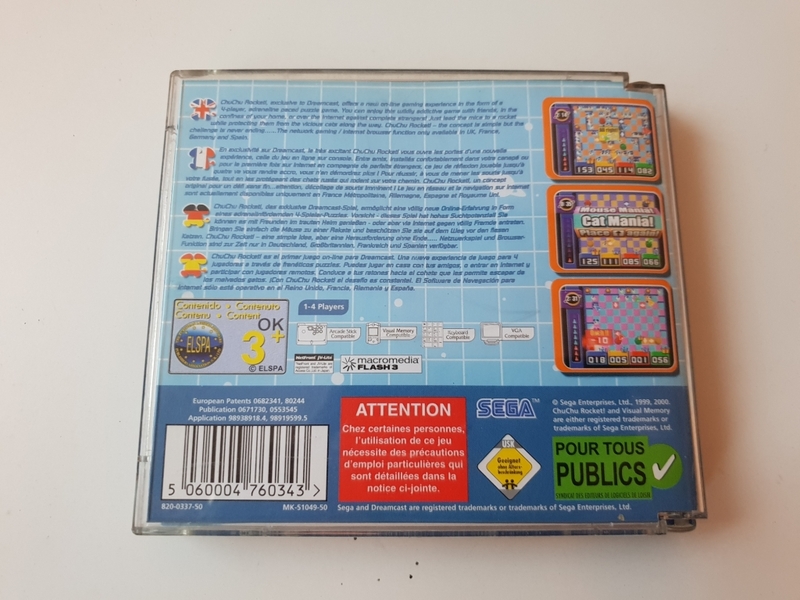 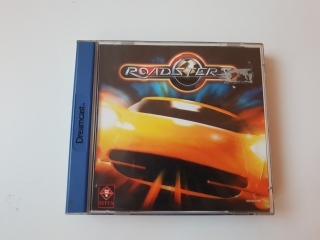 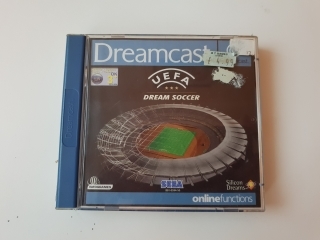 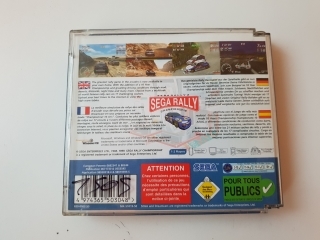 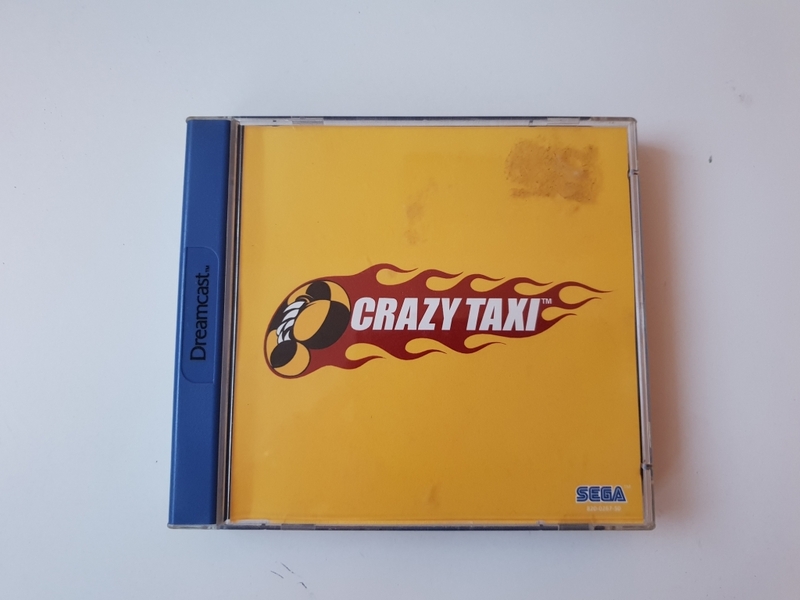 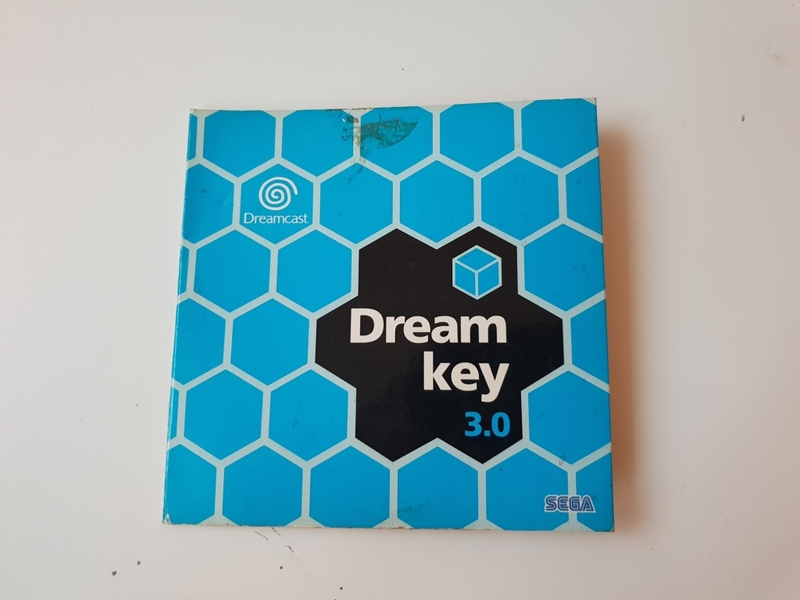 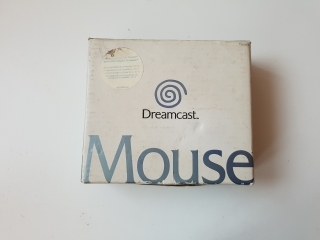 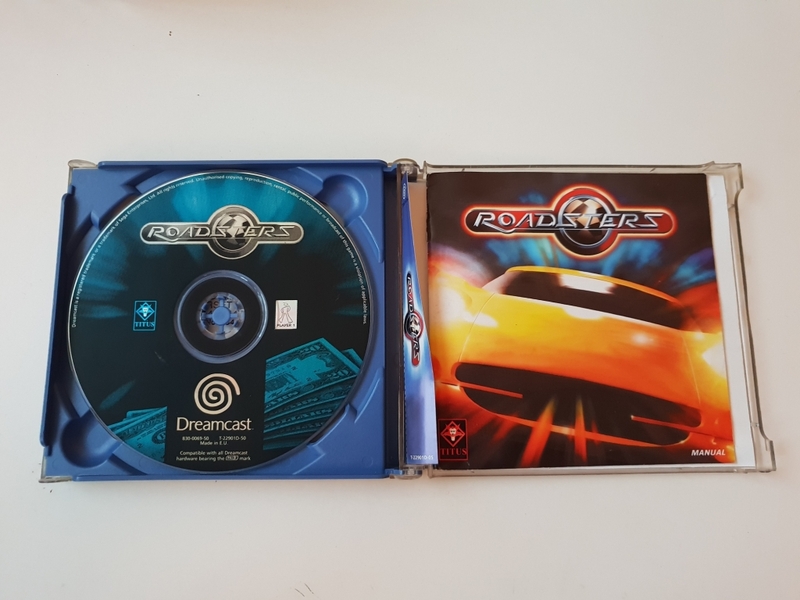 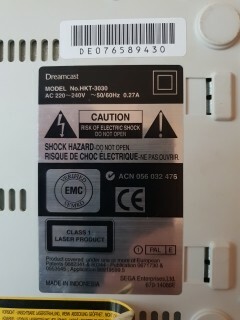 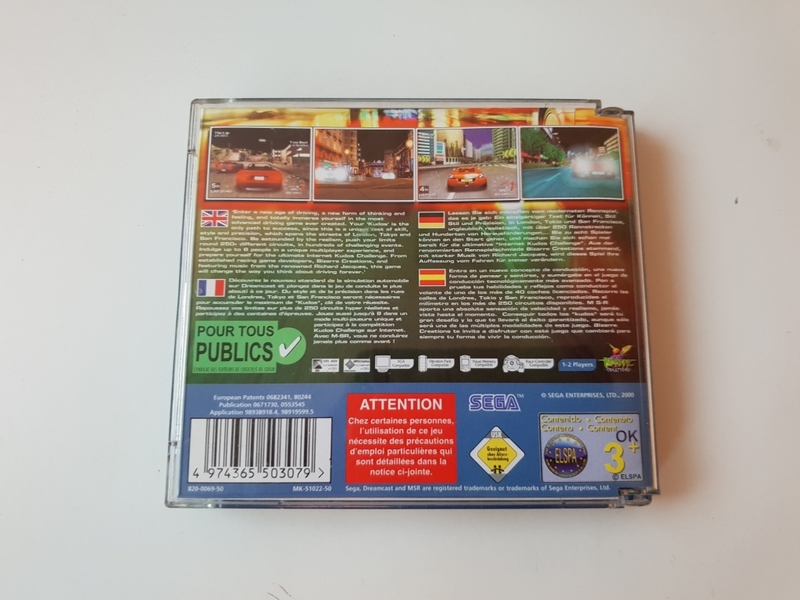 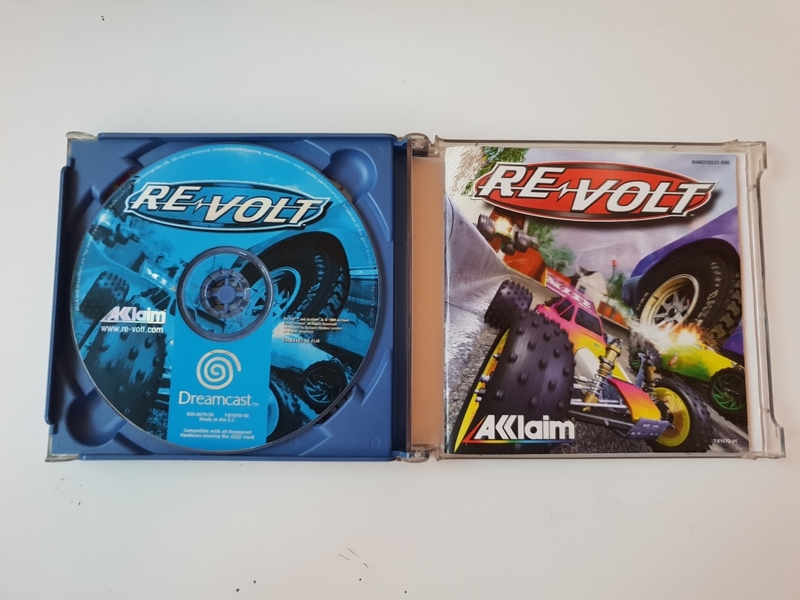 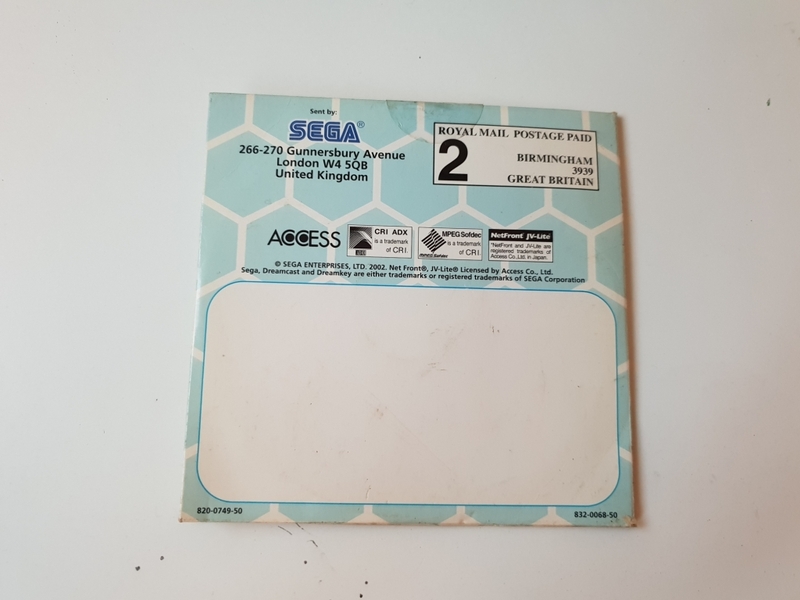 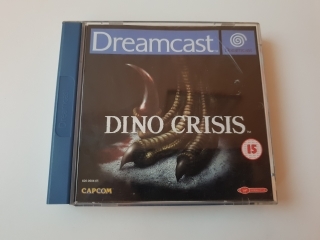 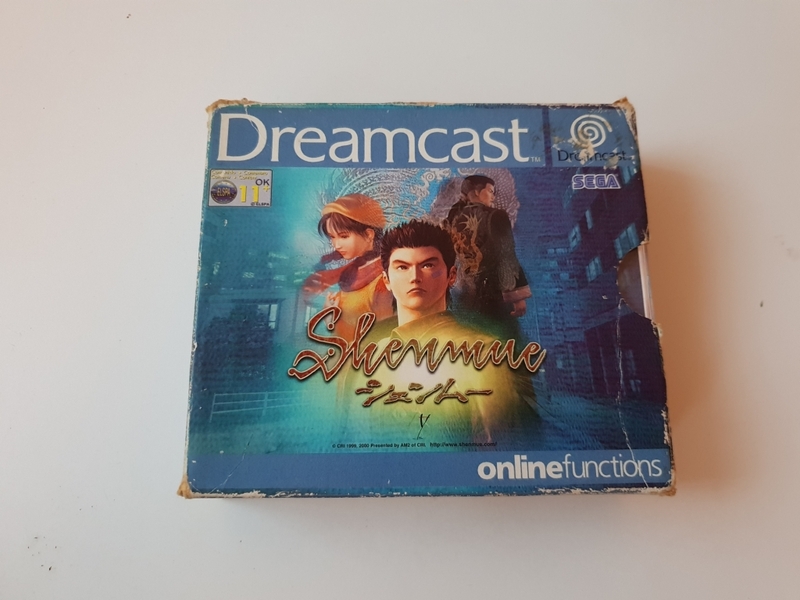 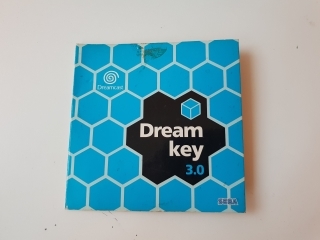 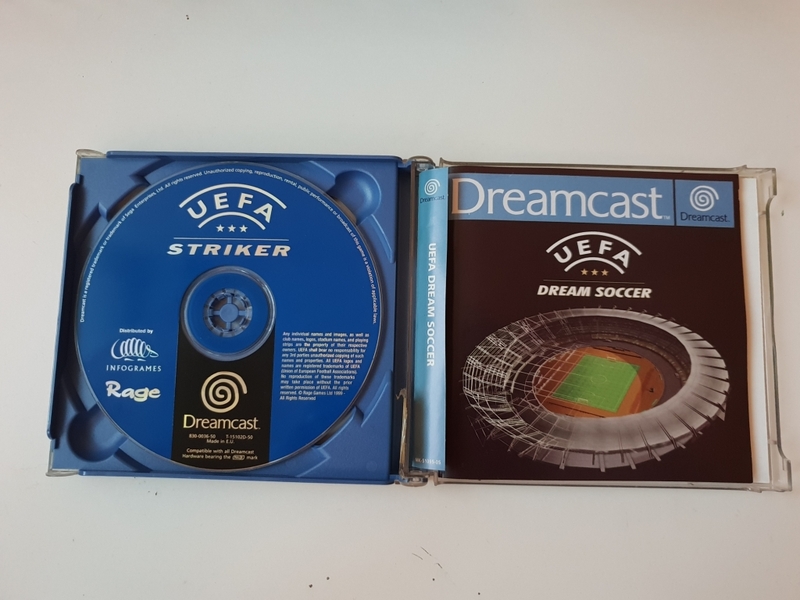 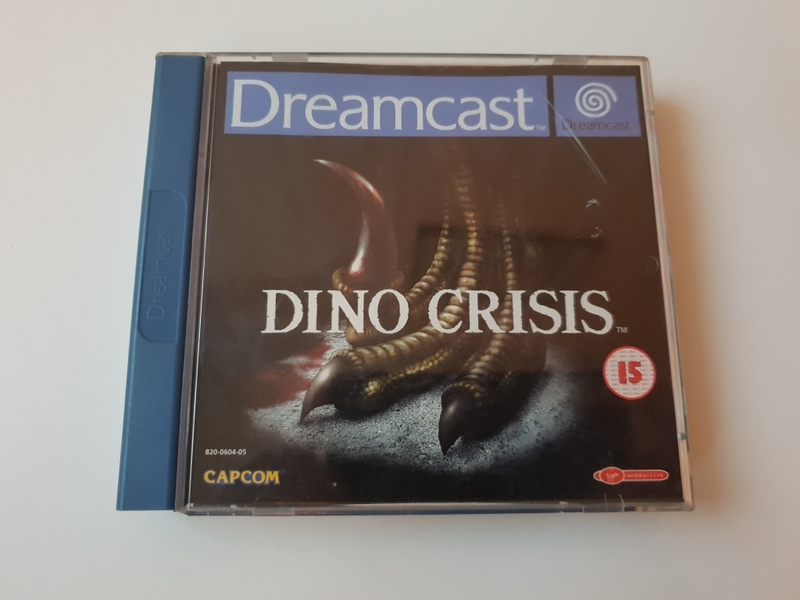 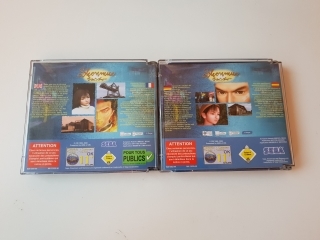 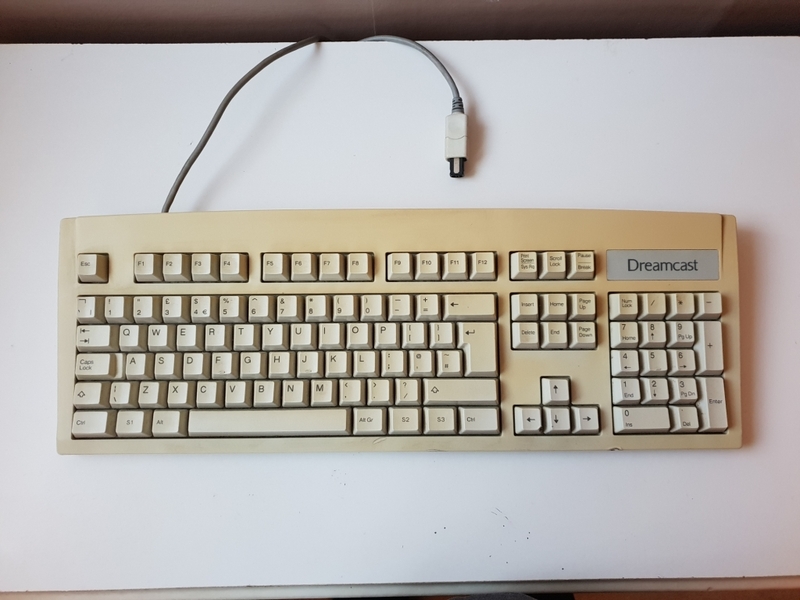 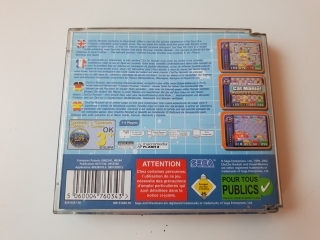 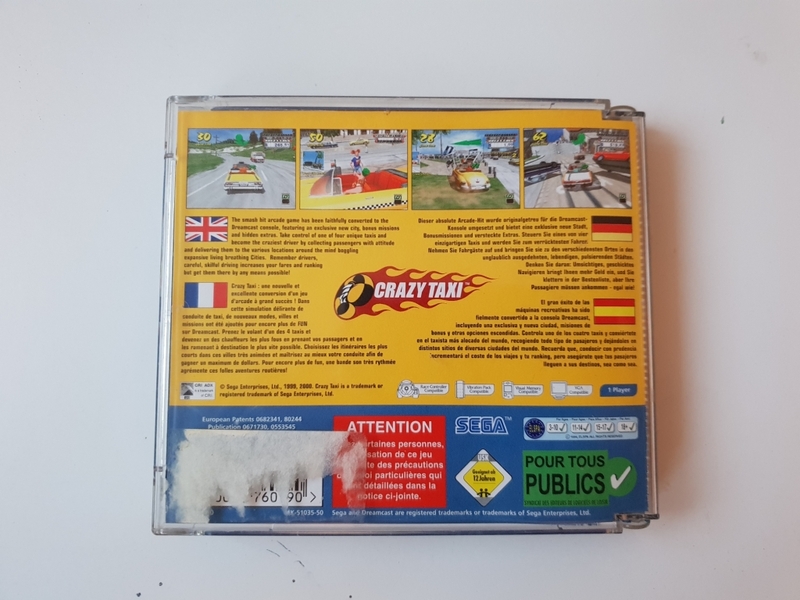 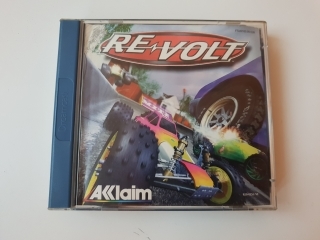 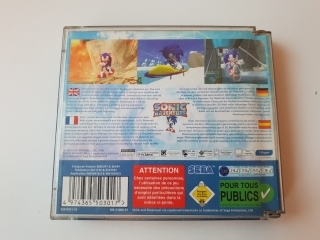 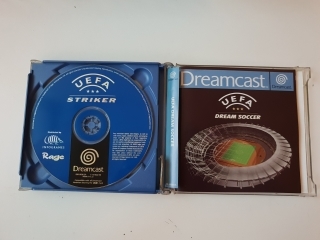 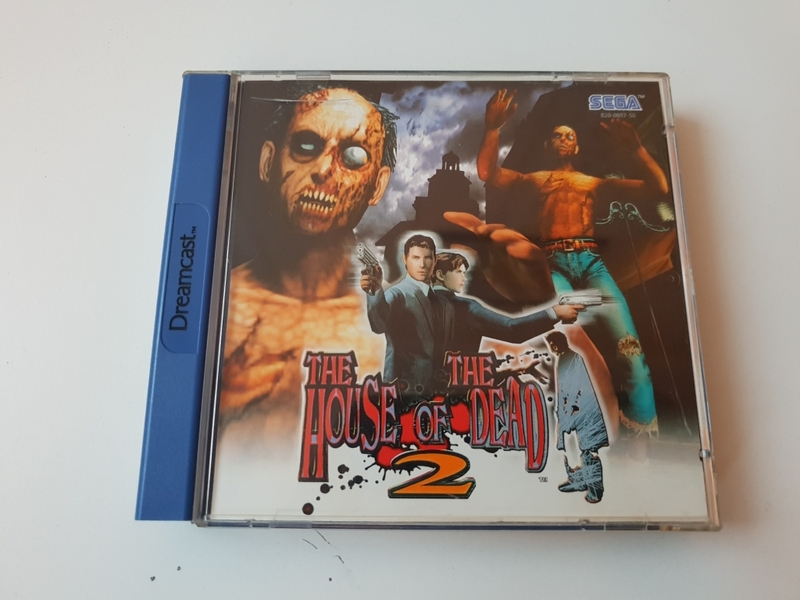 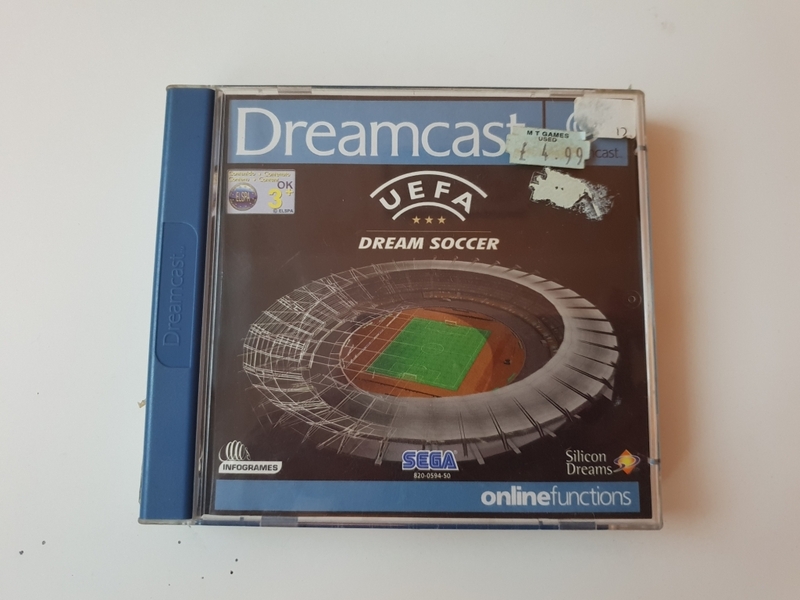 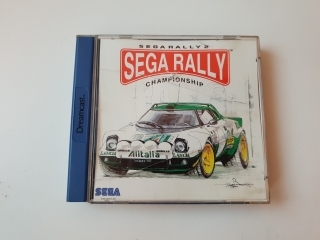 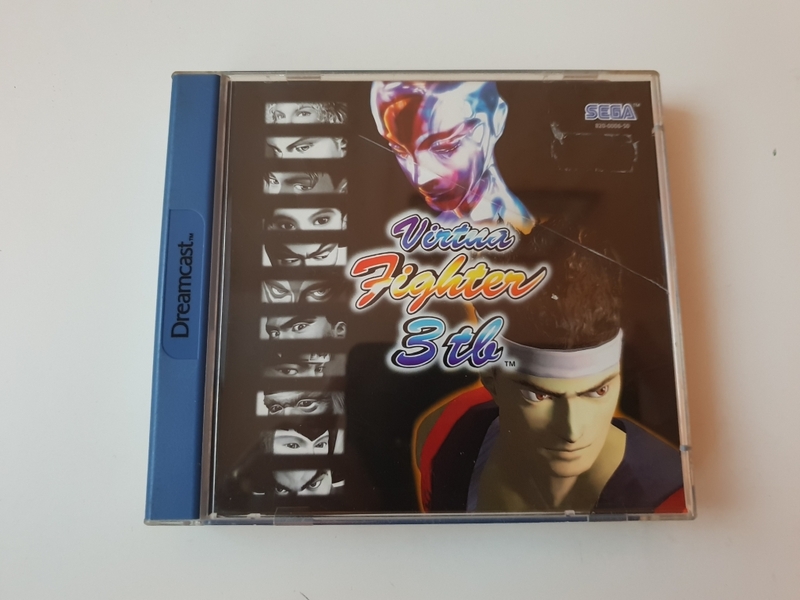 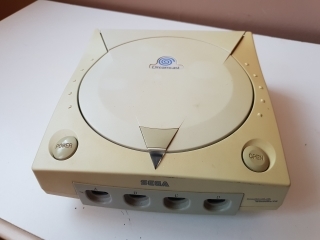 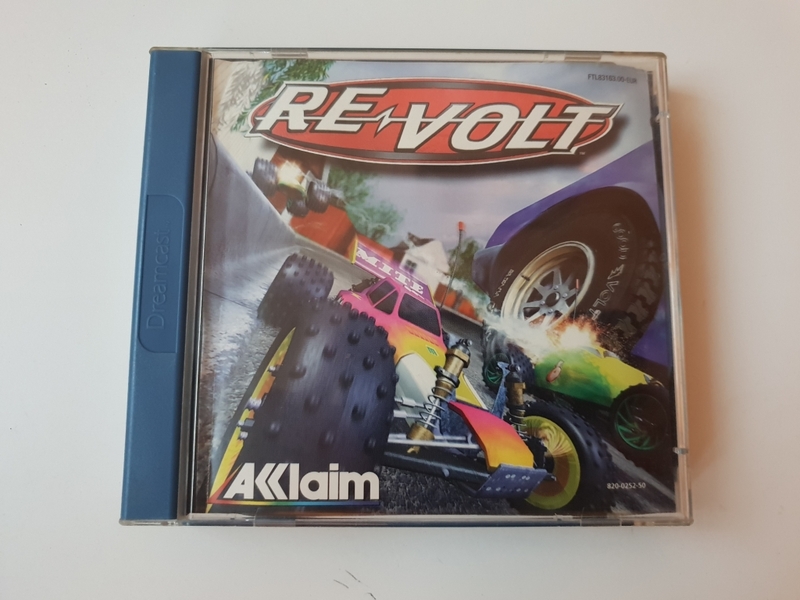 This is a revision 1 European PAL Dreamcast. Revision 0, and 1 can boot CDR's, There was a revision 2, which can't. 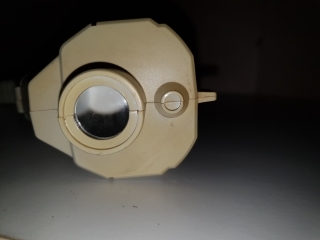 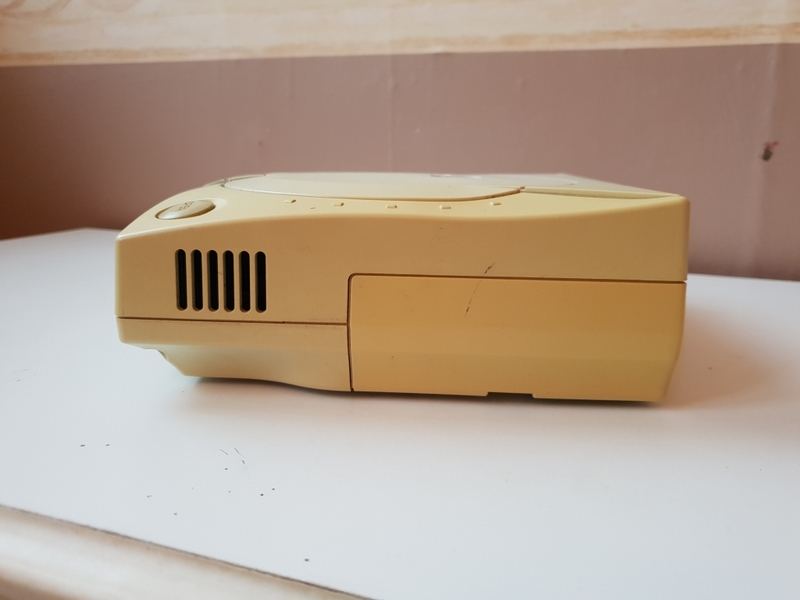 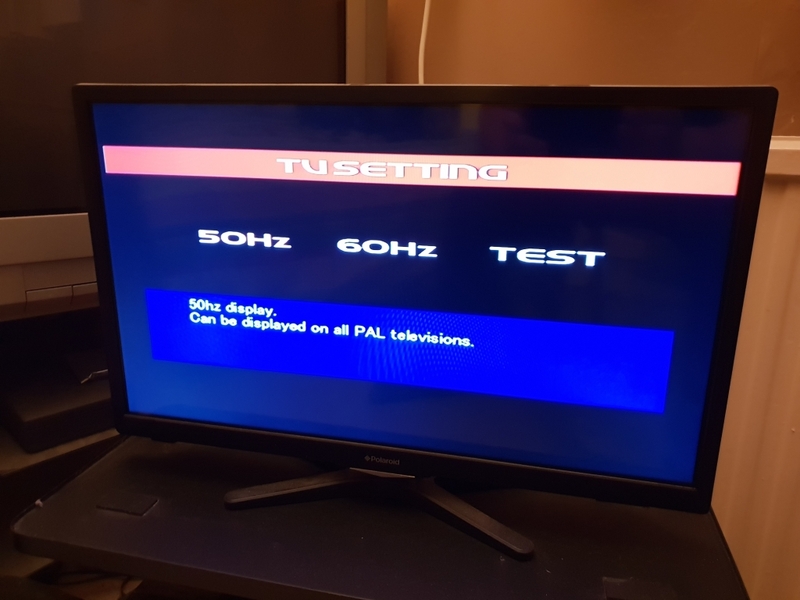 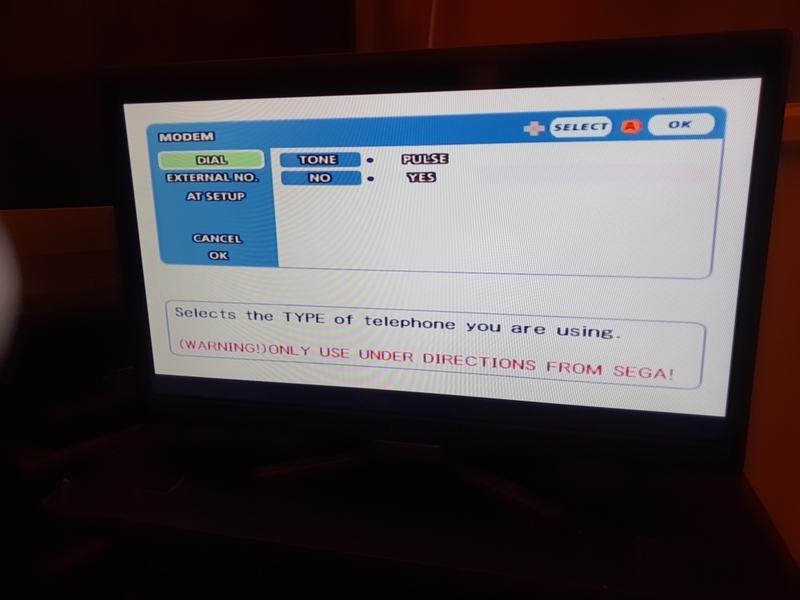 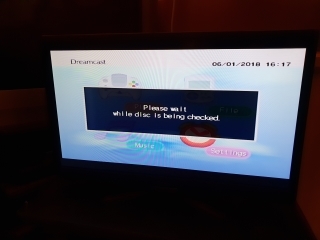 The number can be found within a circle on the label on the bottom of the unit, next to the box with the TV standard in it. 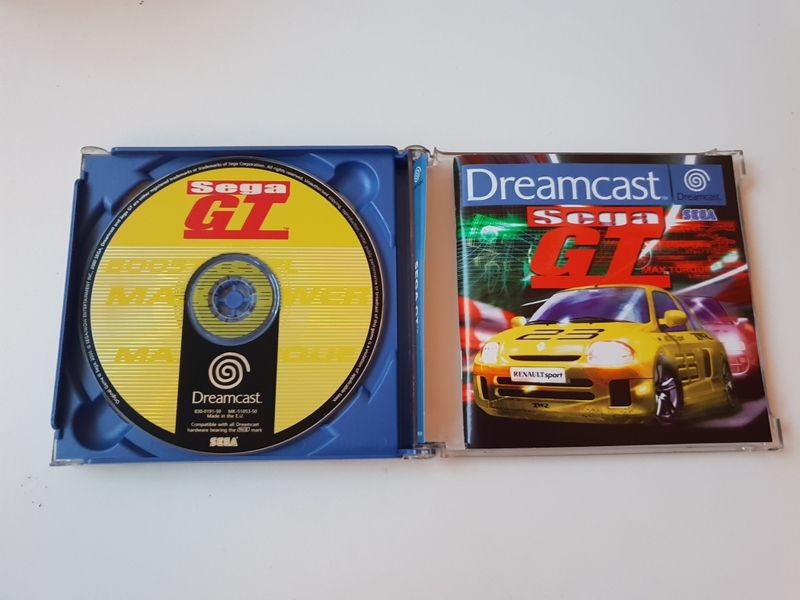 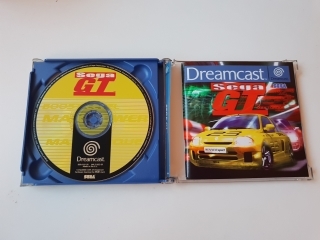 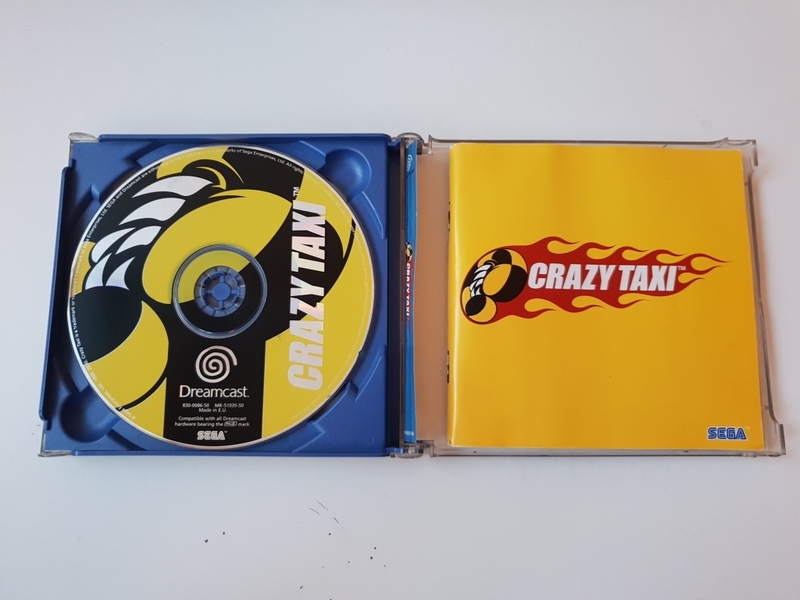 The drive itself is a GD-ROM, similar to a CD-ROM but with slightly higher storage space (1GB instead of 700MB), it can still read normal CD's and CDR's including audio and "homebrew" games, but some units may need the discs to be burned slow (4x). 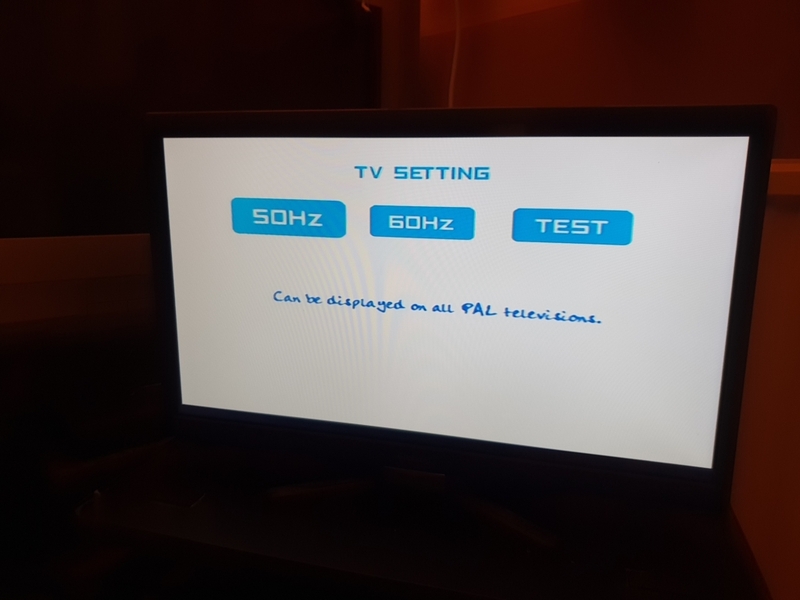 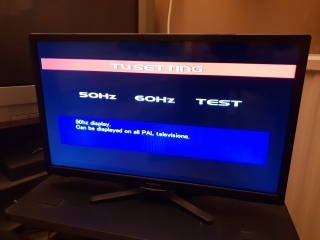 The AV Out can use a variety of cables to connect to various displays including RF and VGA. 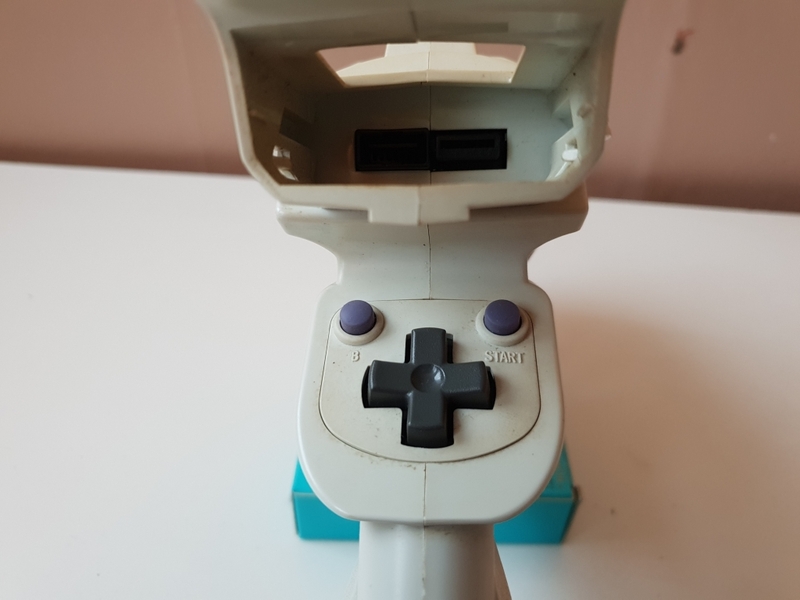 The power button is an on/off toggle switch. 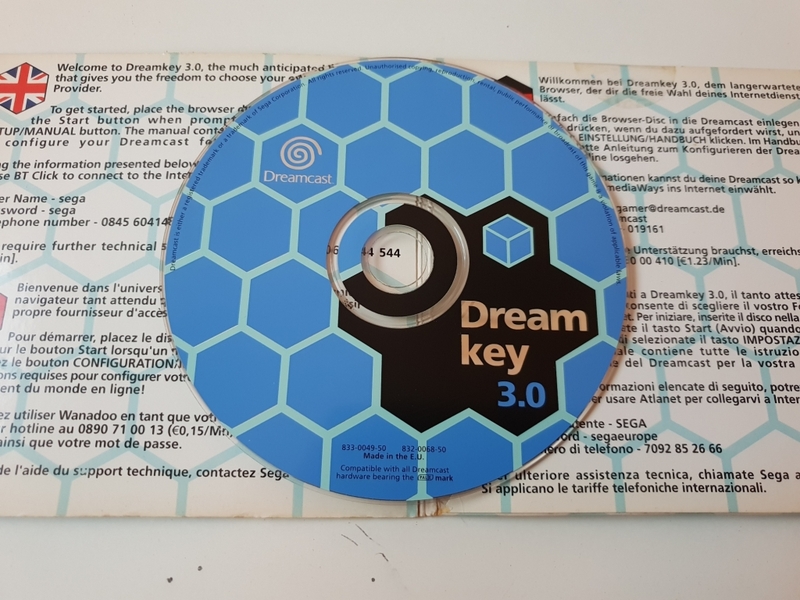 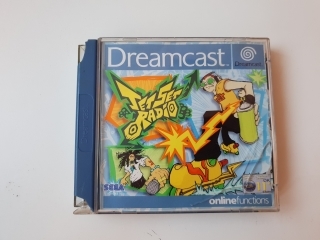 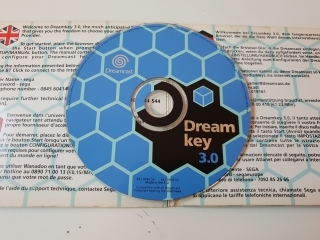 Open just releases the lid, usually this would reset the Dreamcast as well, but this can be overridden by software. 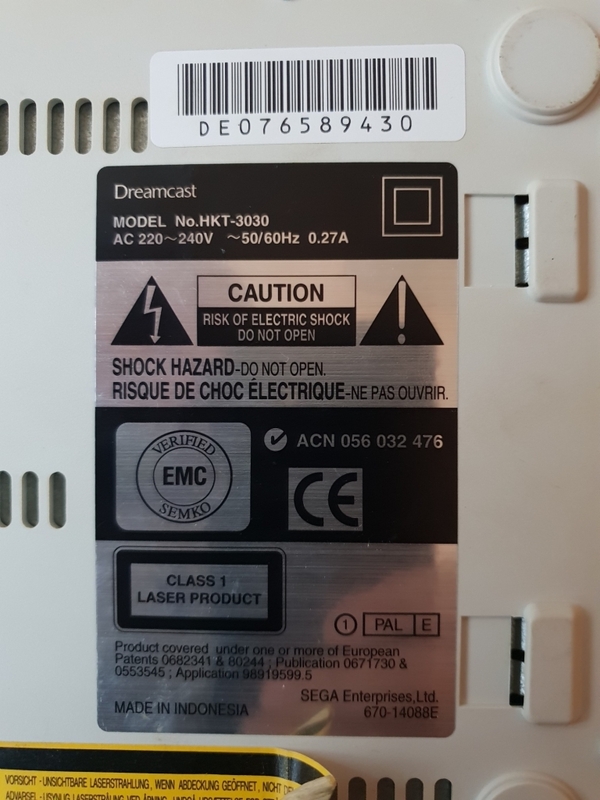 The power supply is built into the unit, this is rated at 220~240 volts at 50/60Hz using 0.27 Amps, at least it does in the UK. 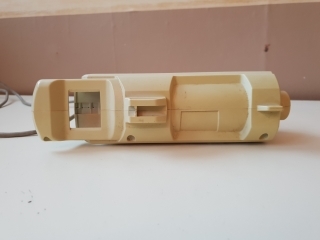 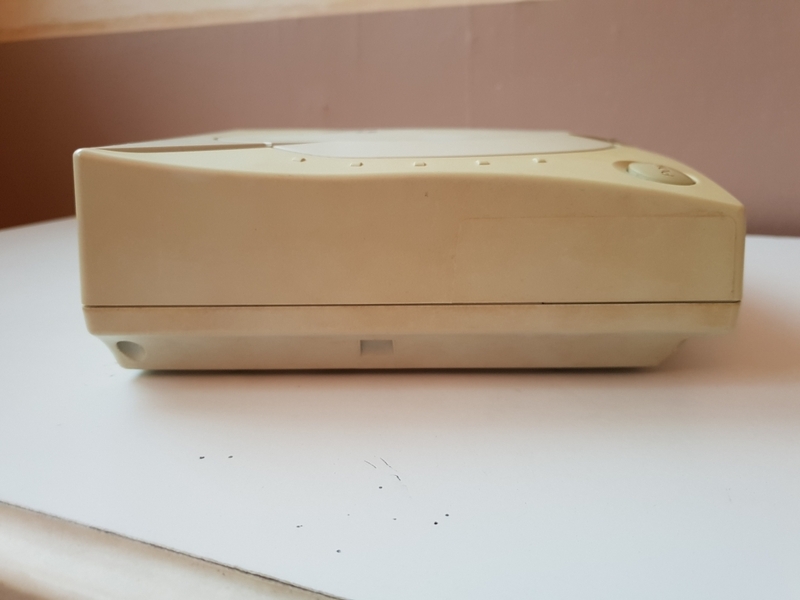 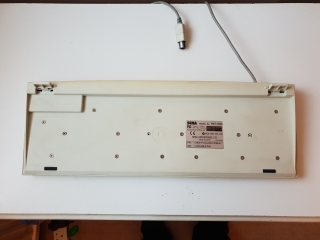 The LINE socket is for a dial-up modem, the modem is removable and can be replaced with a broadband adaptor if you could find one. 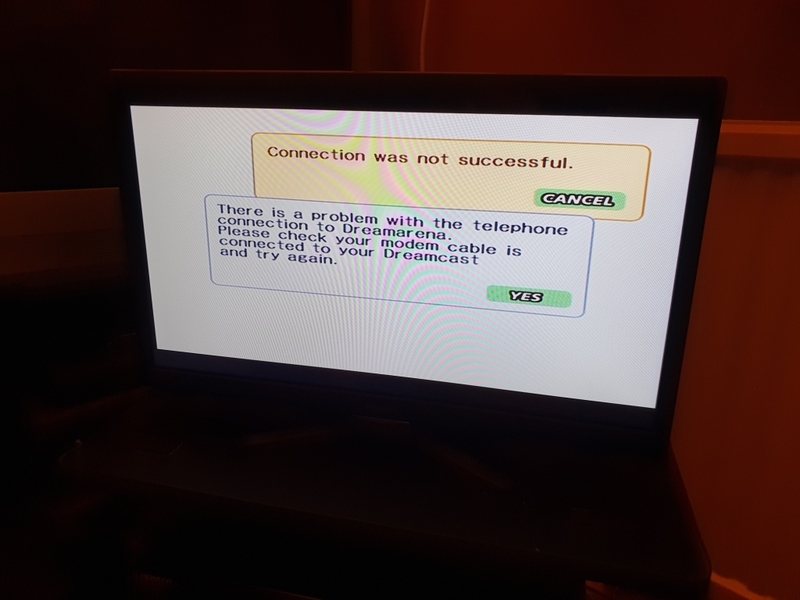 The modem cable is a standard phone cable, mine came from a Sky TV box. 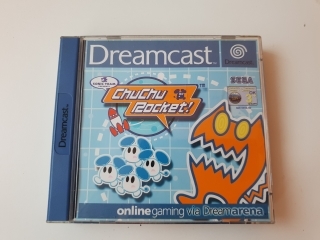 Many games had online functions. 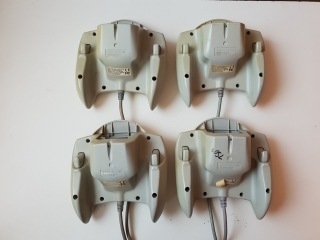 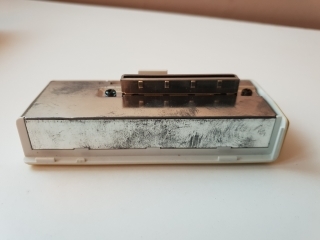 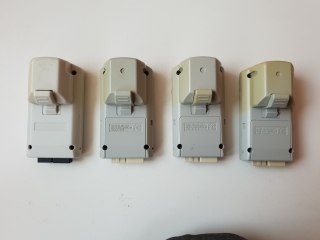 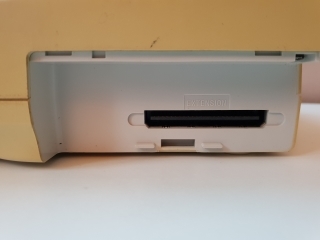 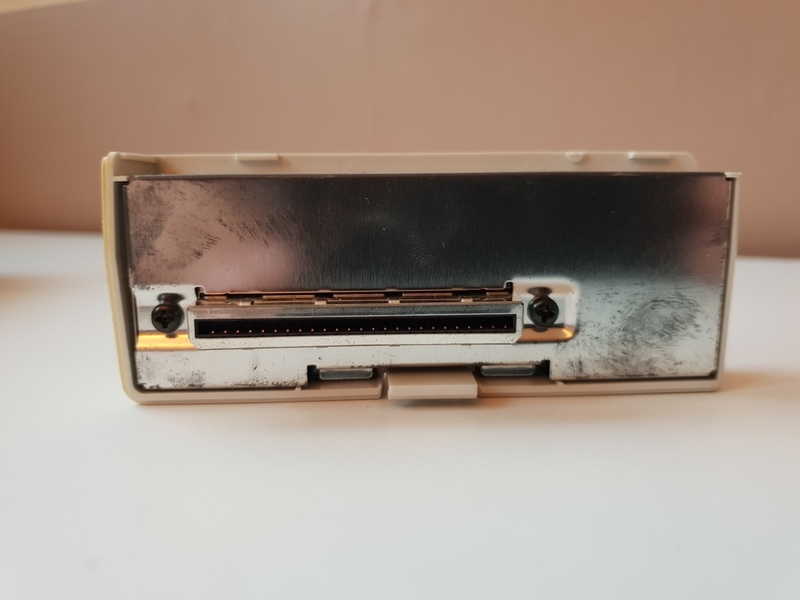 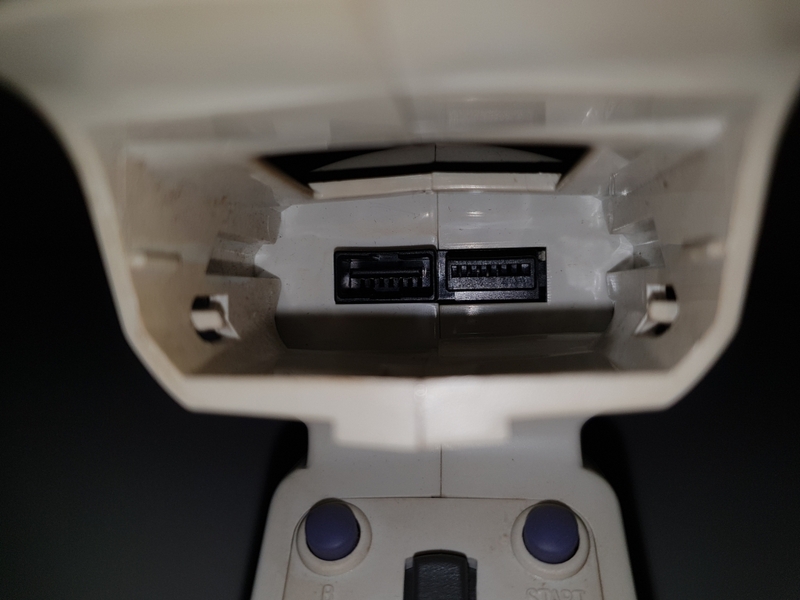 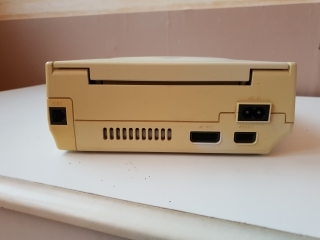 The four ports on the front could connect controllers (I have four official and one 3rd party controllers), and other devices like light guns, keyboards and mice . 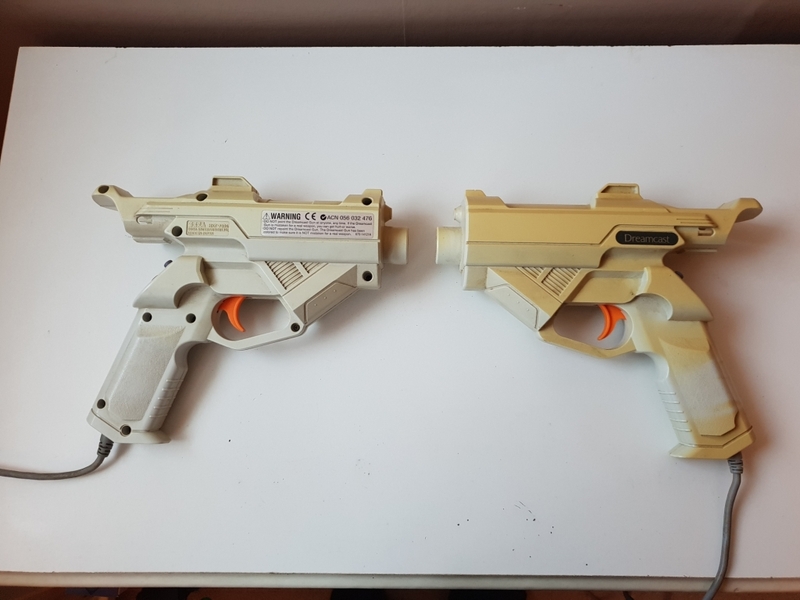 I have two light guns, these have selected buttons on the rear, and one memory card slot, the rumble pack does not fit here. 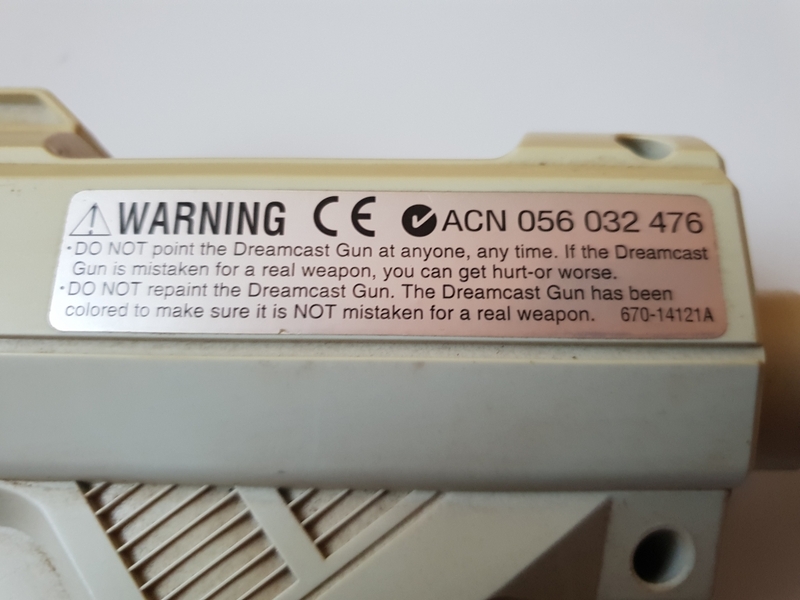 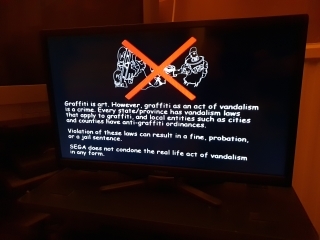 The warning on the side makes me chuckle. 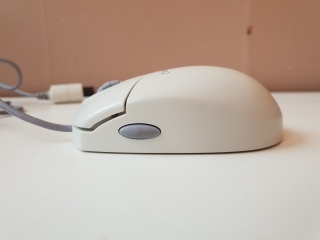 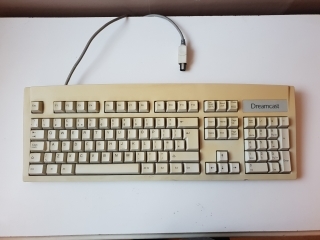 The keyboard and mouse look like the keyboard and mouse you would have on your PC of the time, the mouse is a ball mouse, but it has a scroll wheel and a side button. 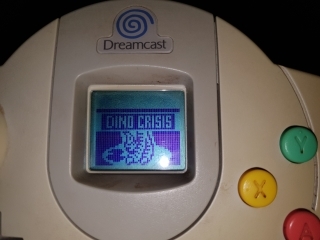 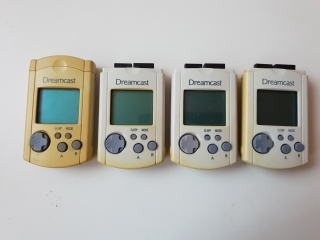 The VMU (Visual Memory Unit) held game save data in blocks, these were different to other systems as they had a LCD screen which could display text and simple animation relating to the game being played, they could also, with the help of two CR2032 batteries, work while unplugged from the controller and manage saved files and play very simple games. 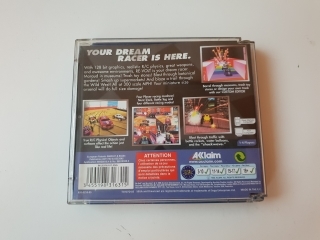 You did not need the batteries to save game files, which was a relief as the batteries did not last long. 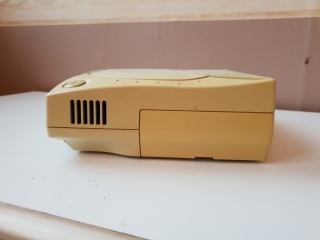 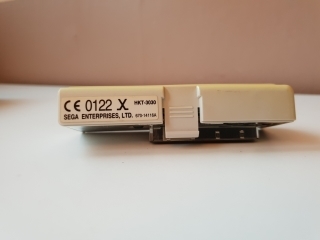 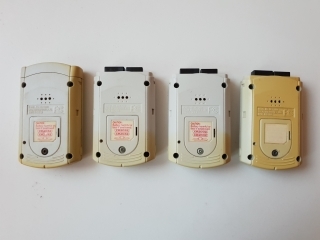 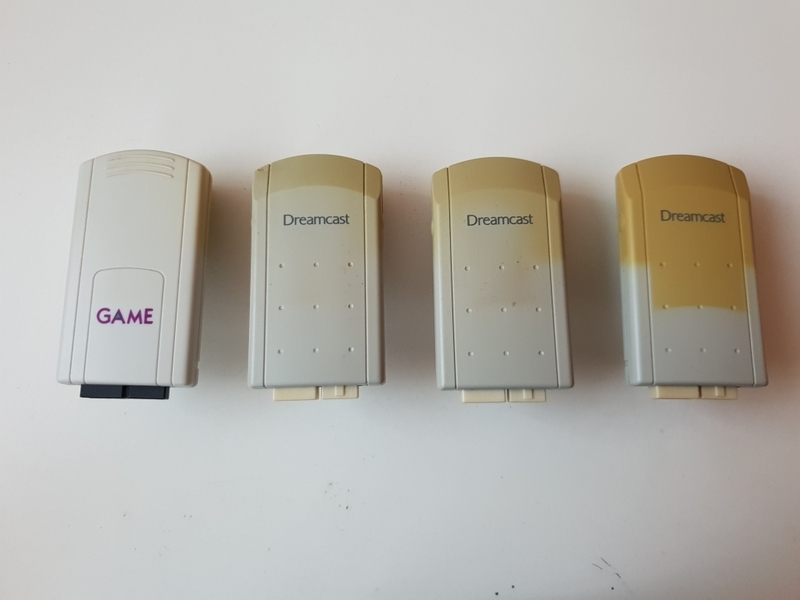 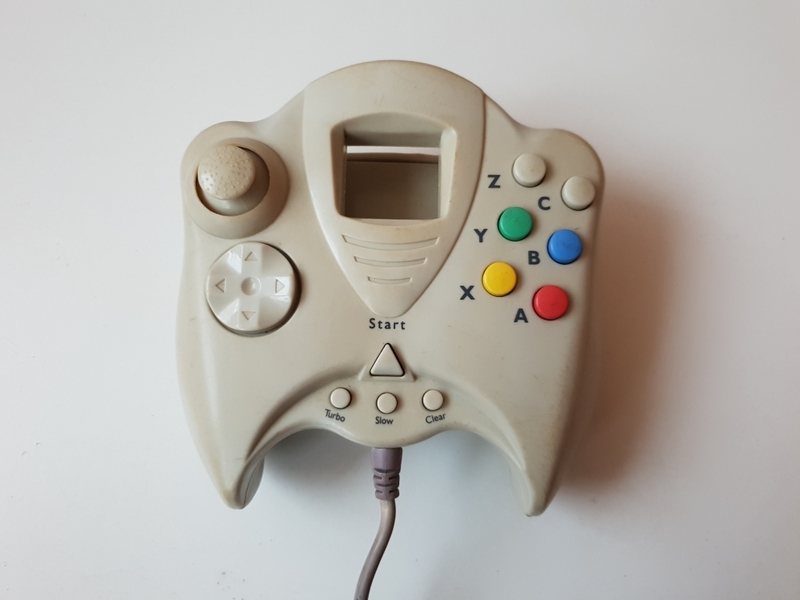 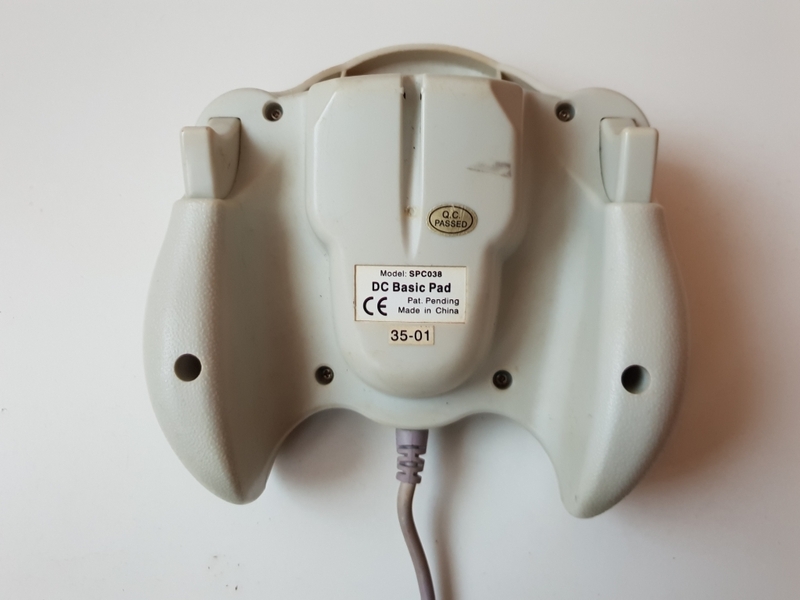 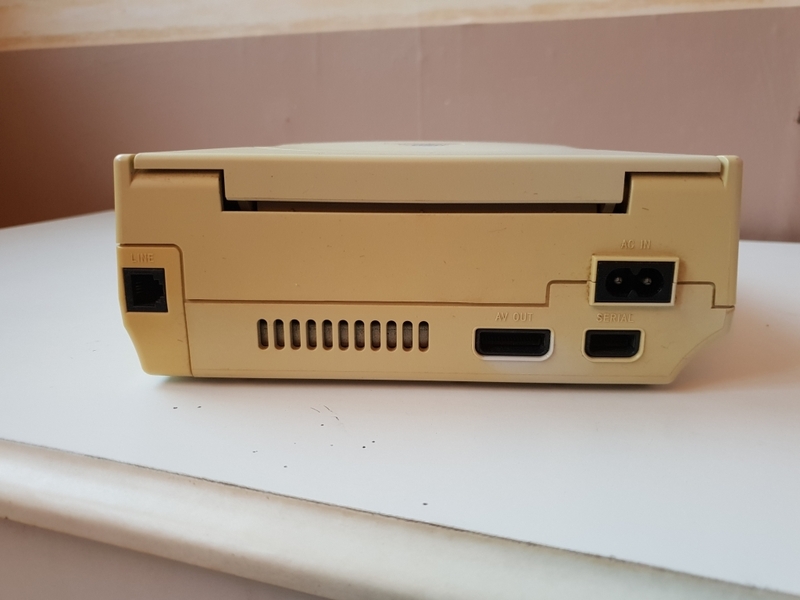 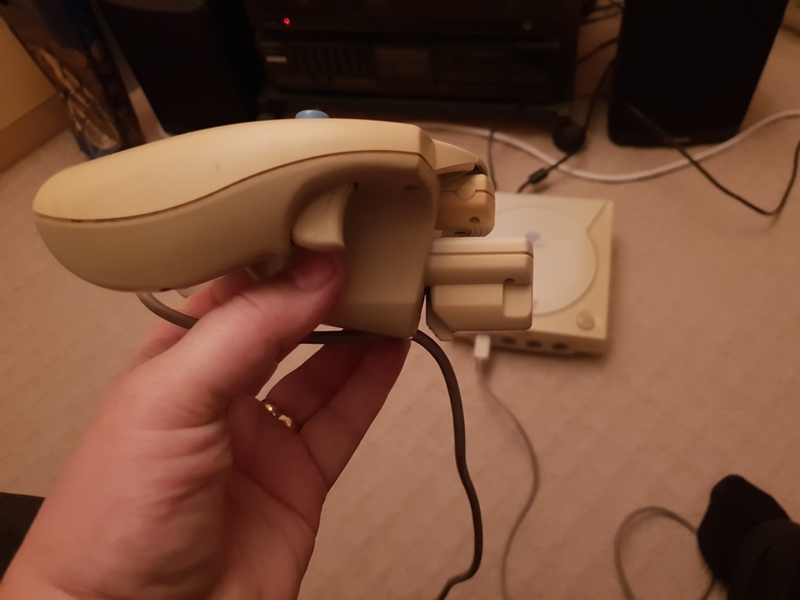 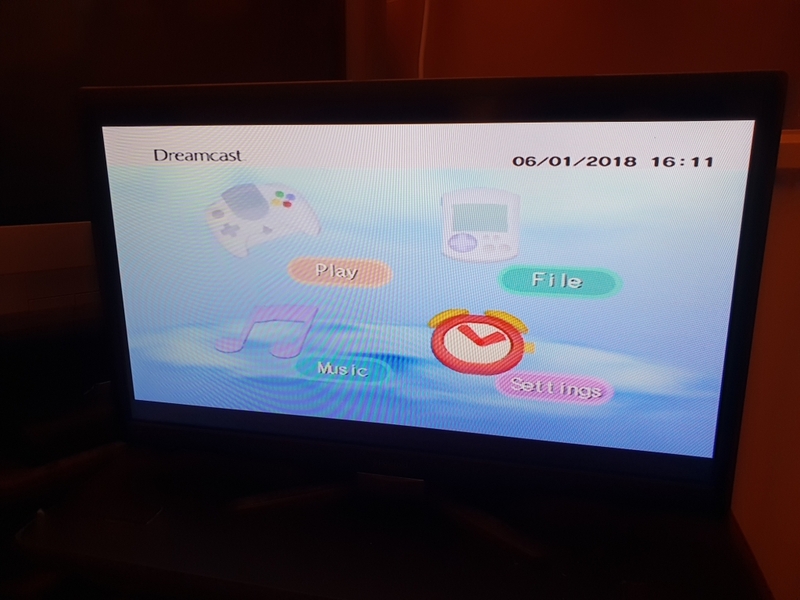 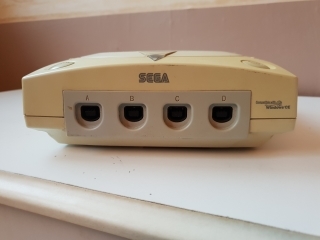 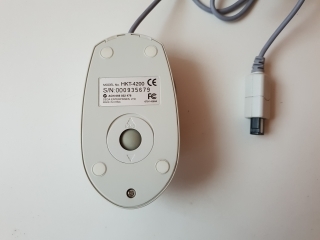 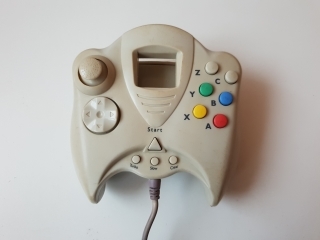 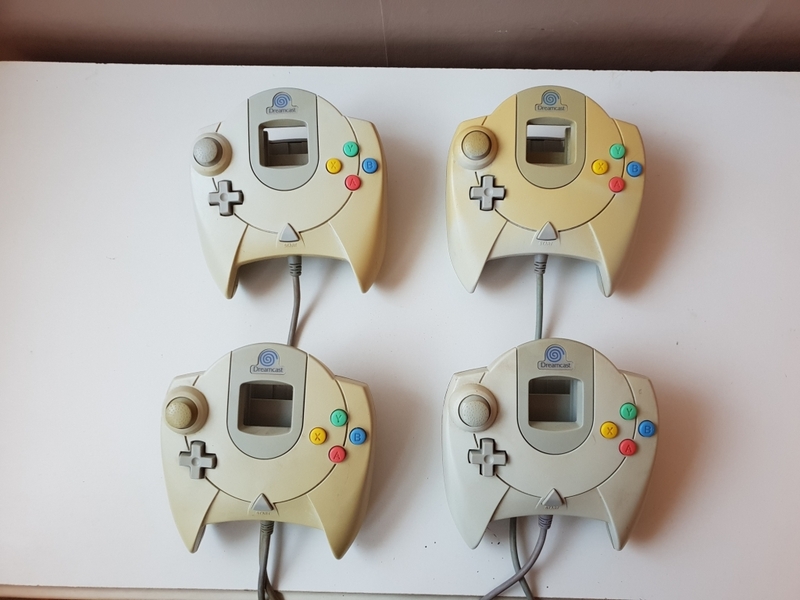 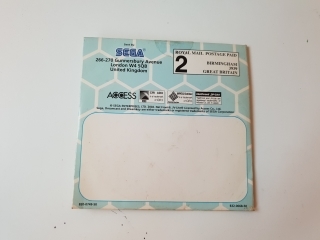 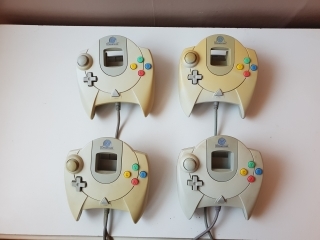 You could also connect two VMU's together and transfer files and data. 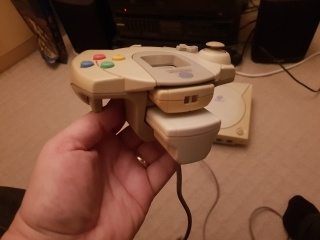 The rumble packs have no controls, they just plug in and work if the game supports them. 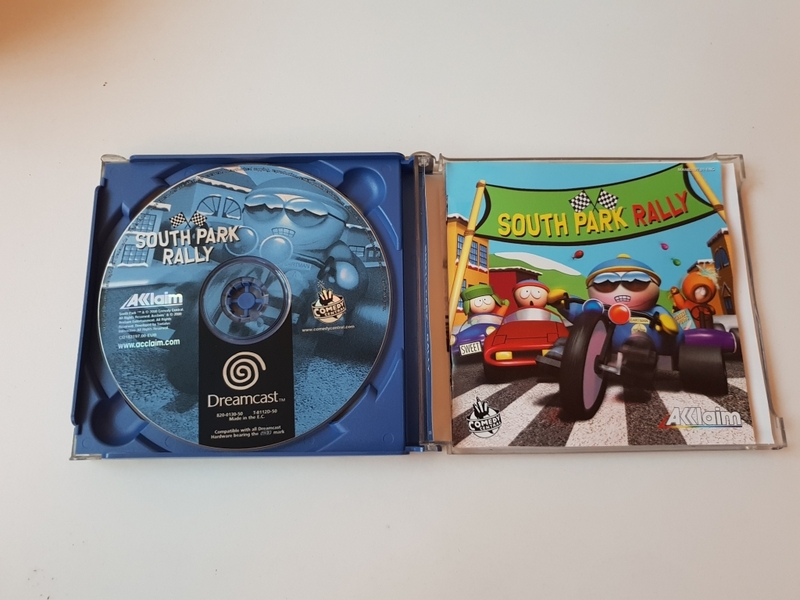 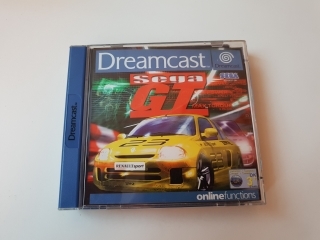 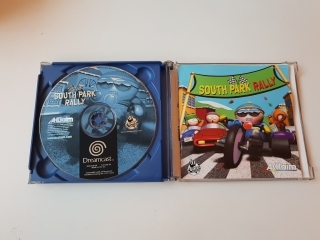 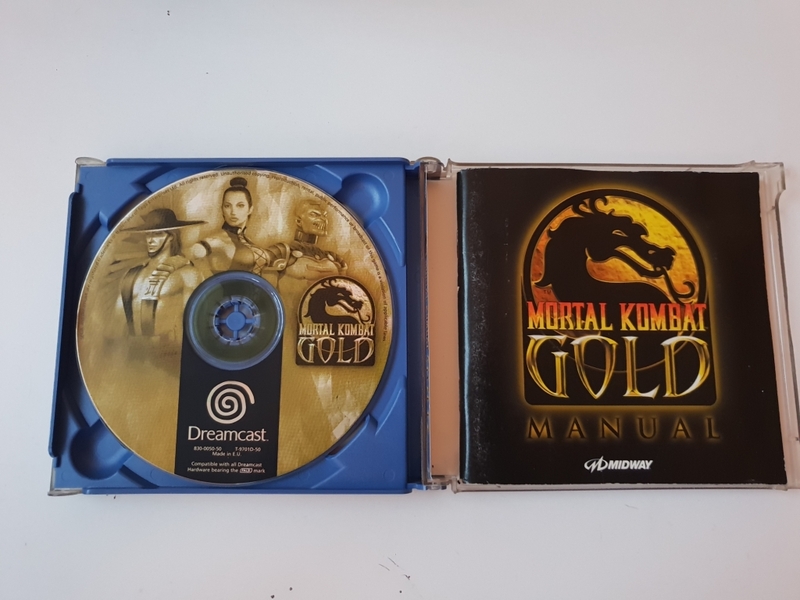 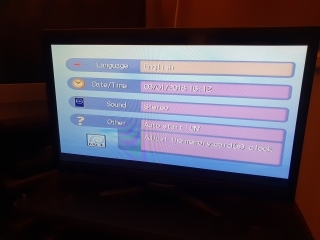 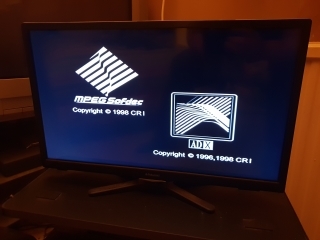 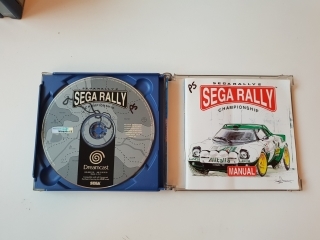 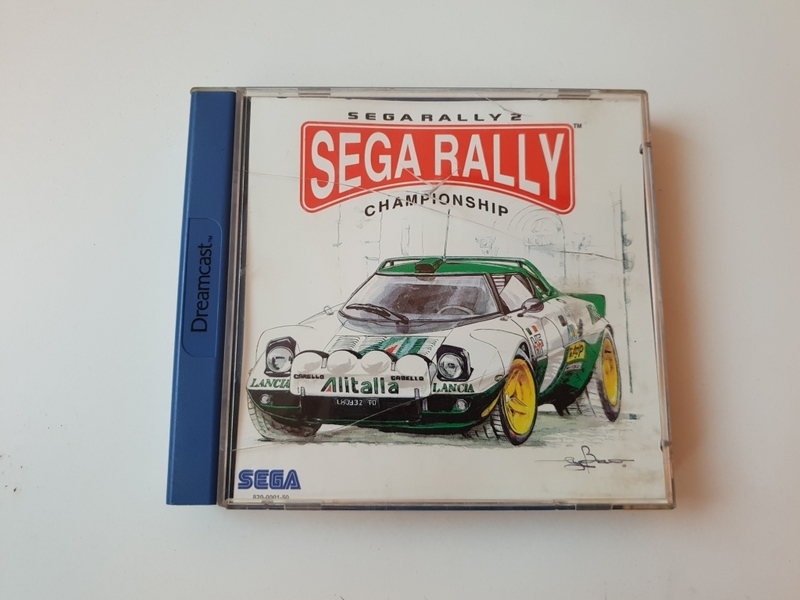 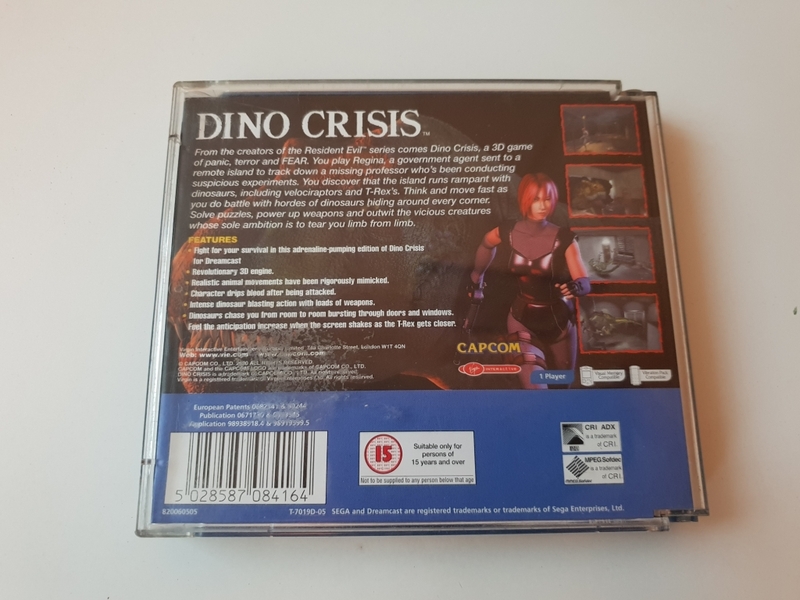 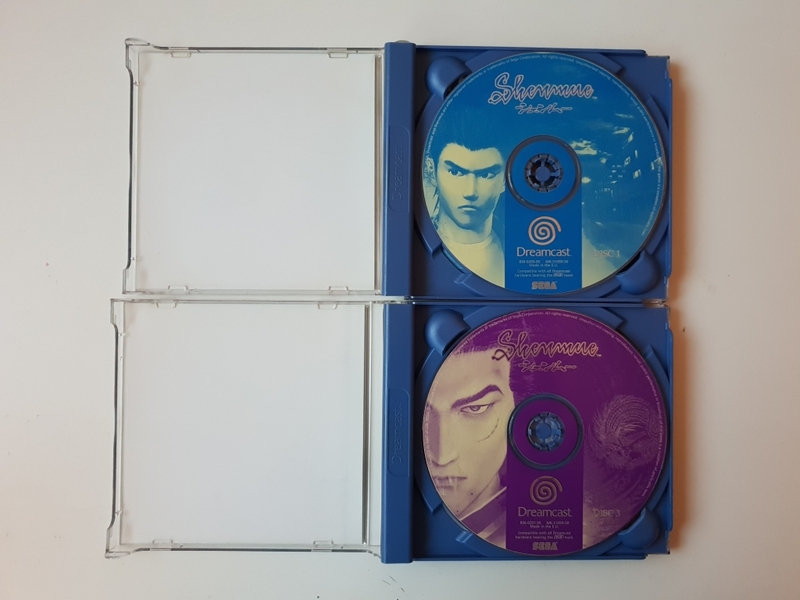 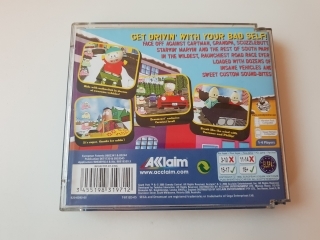 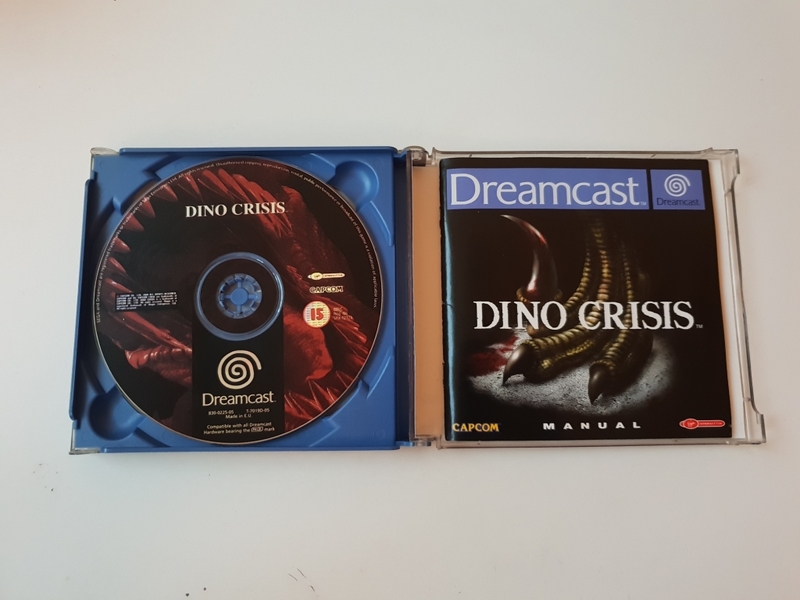 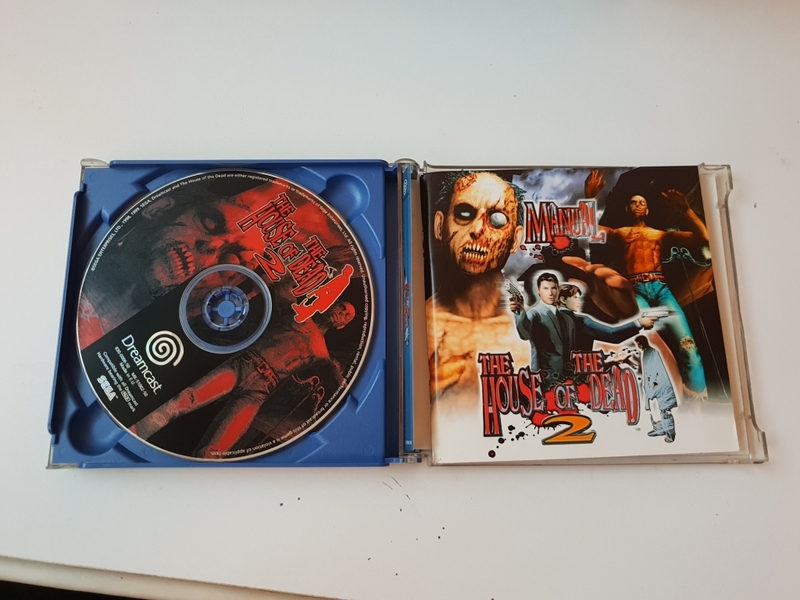 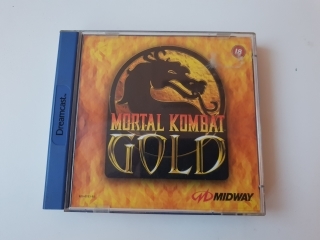 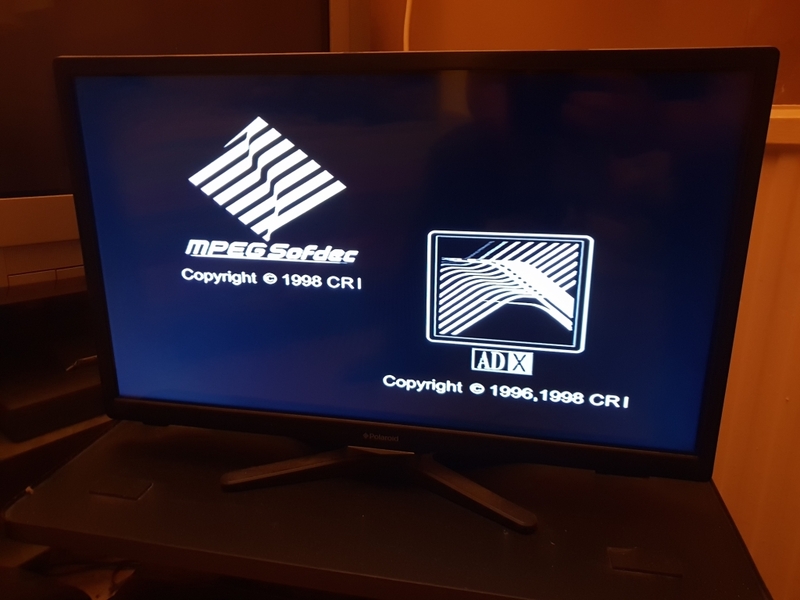 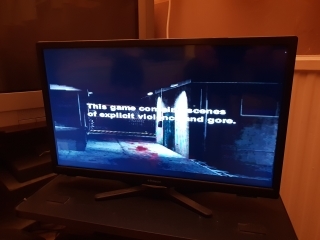 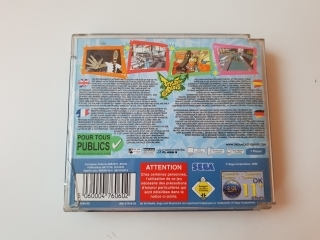 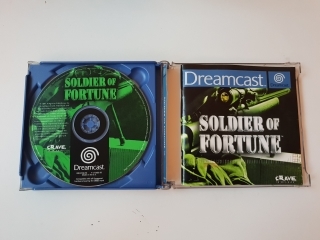 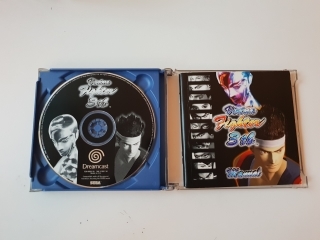 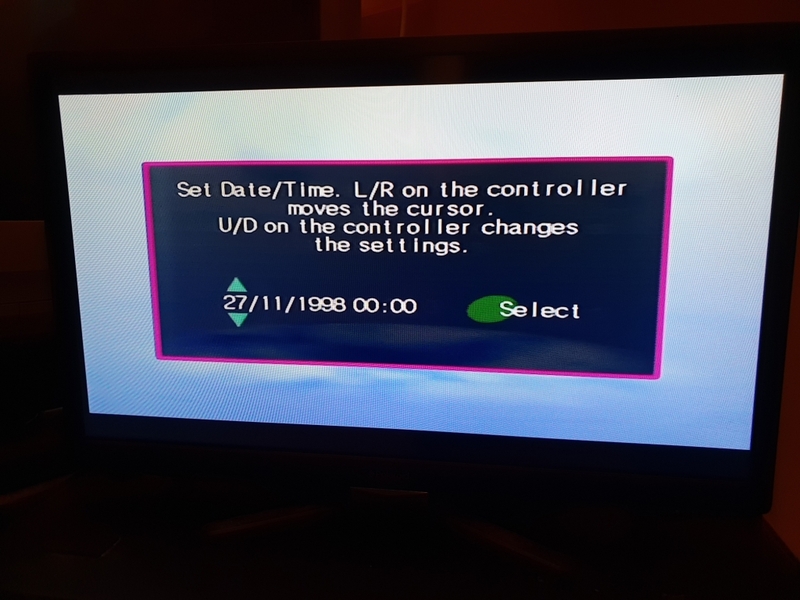 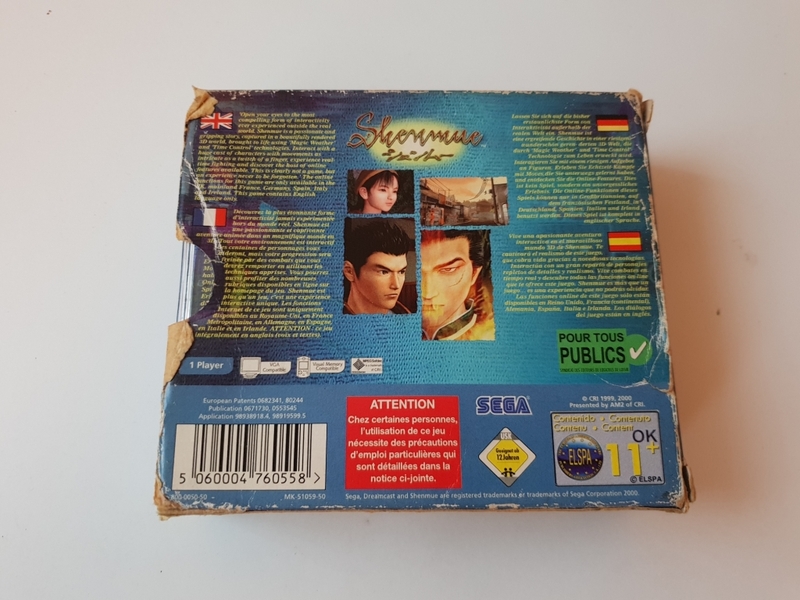 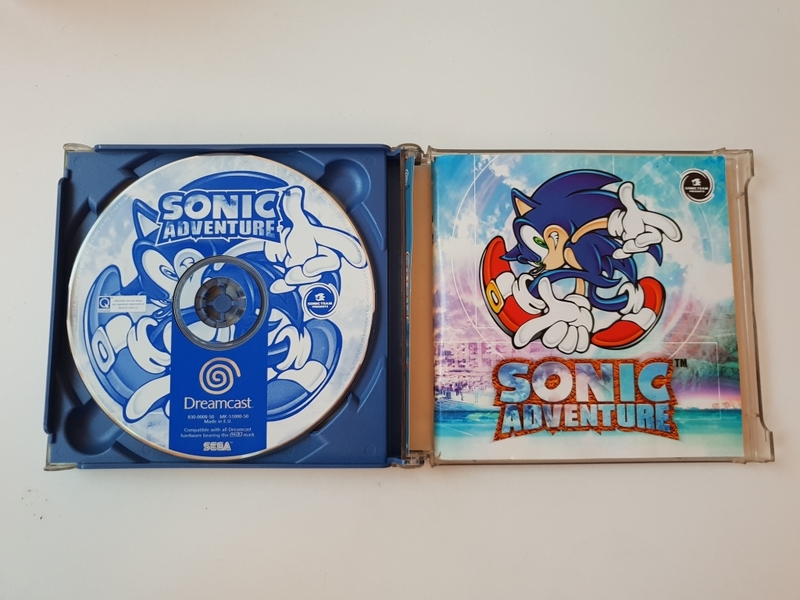 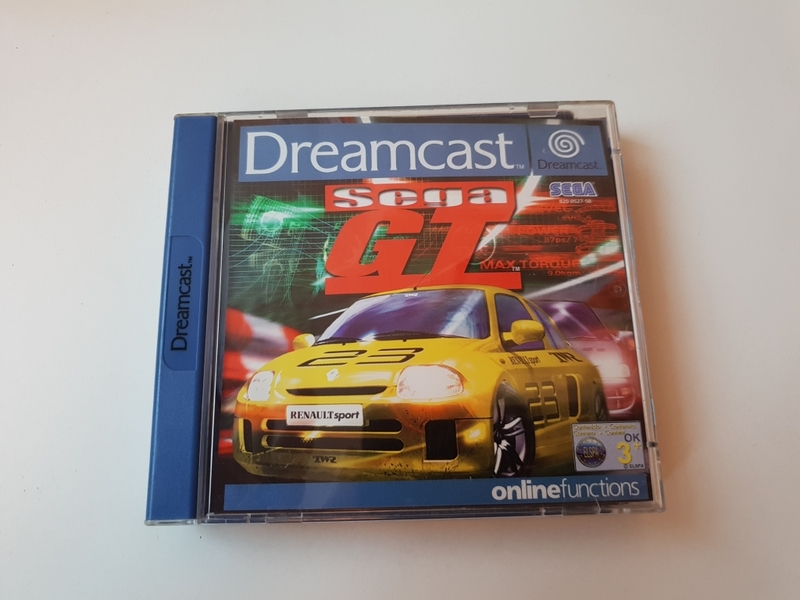 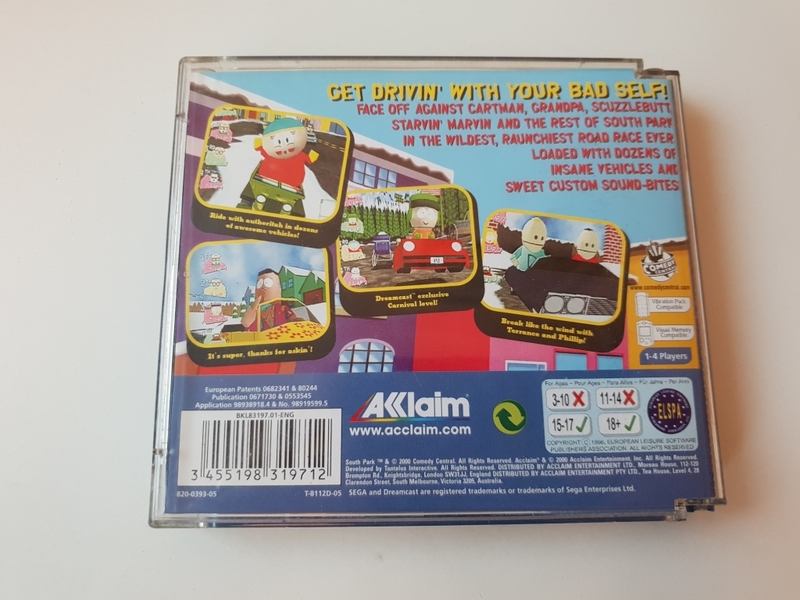 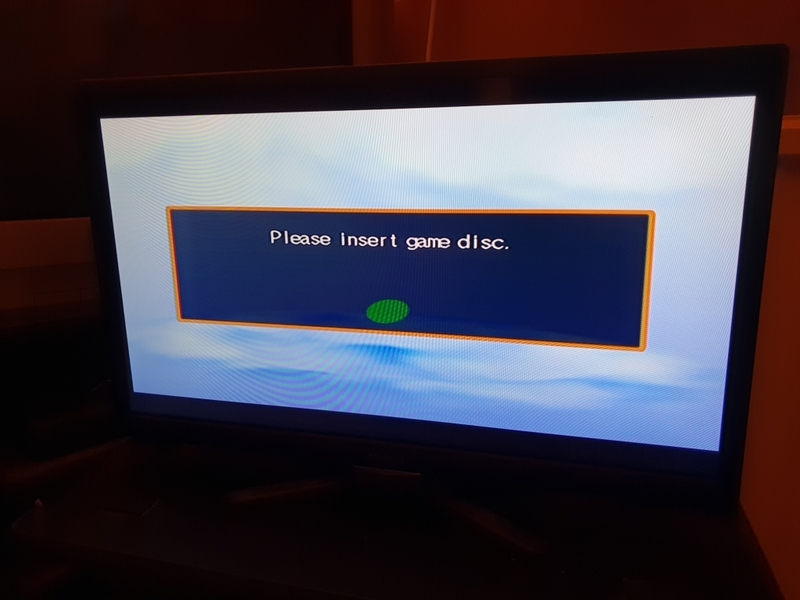 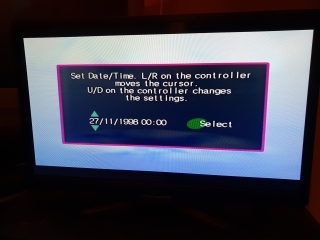 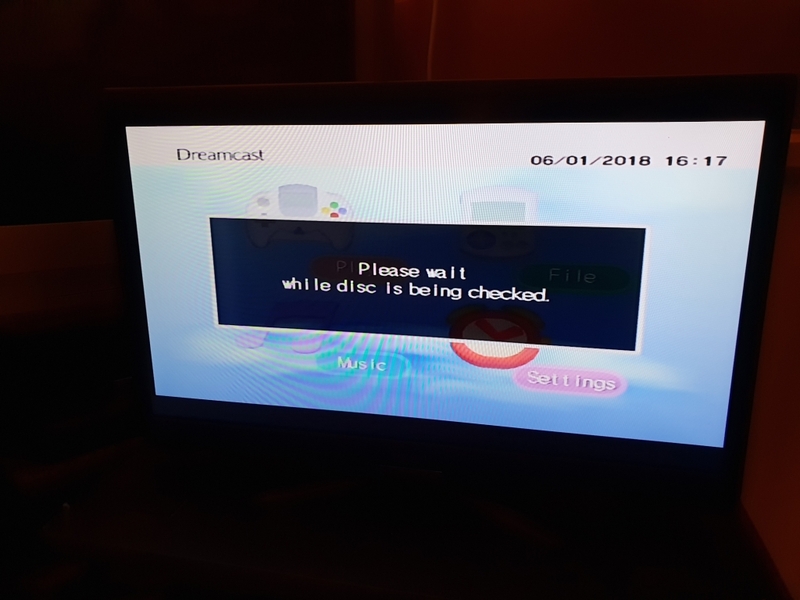 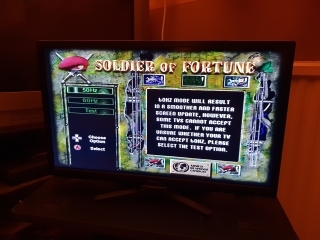 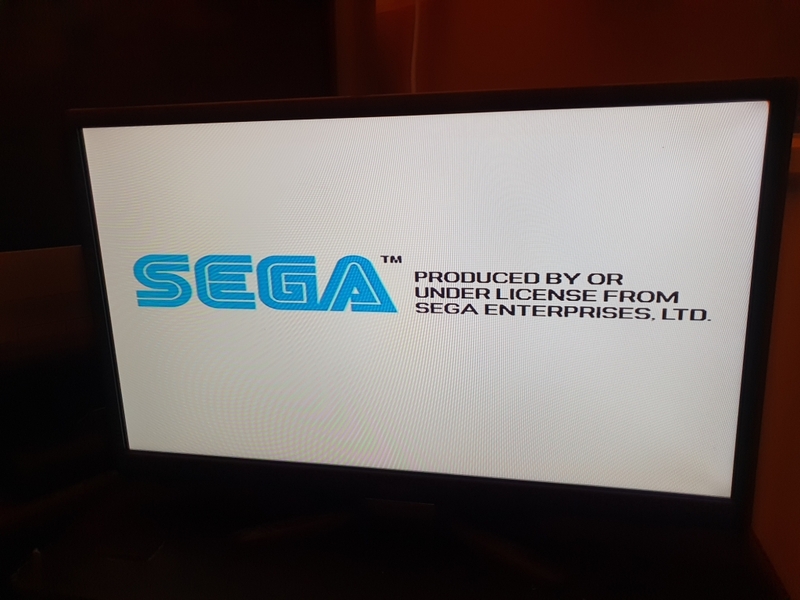 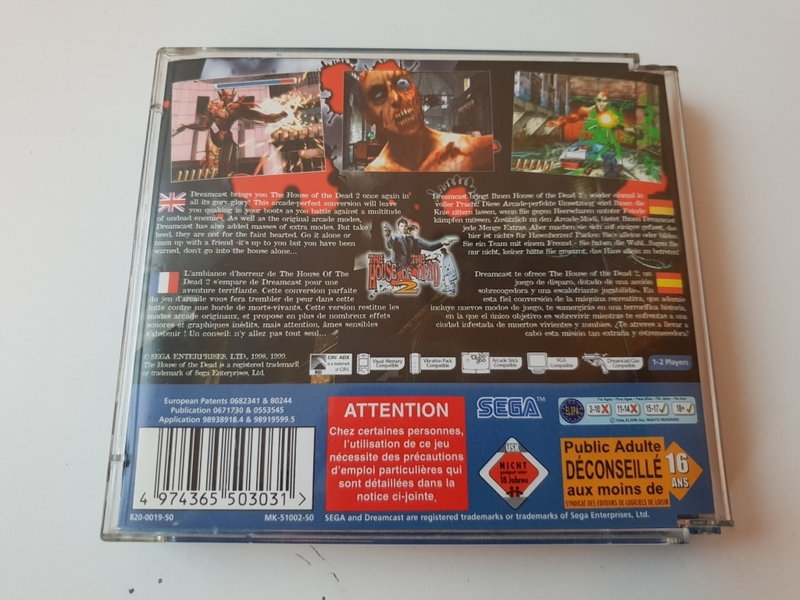 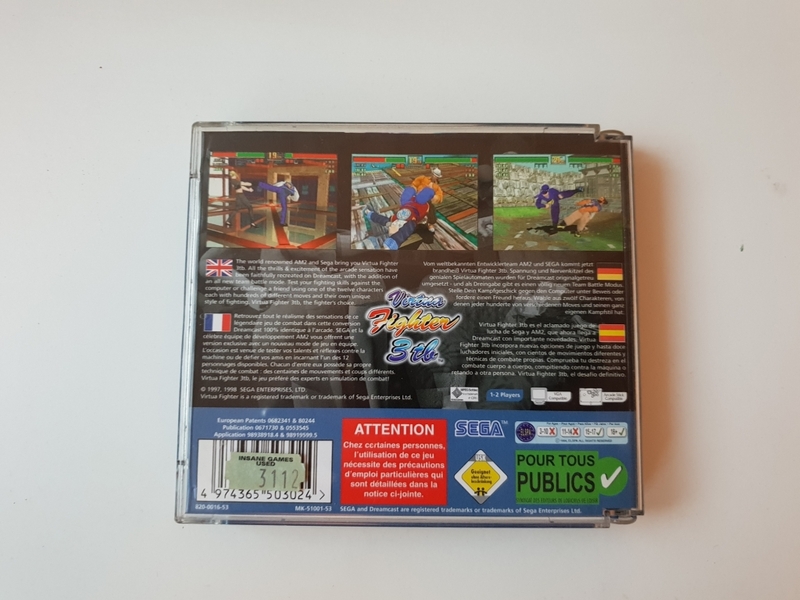 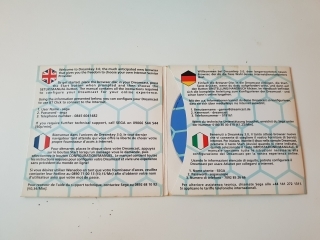 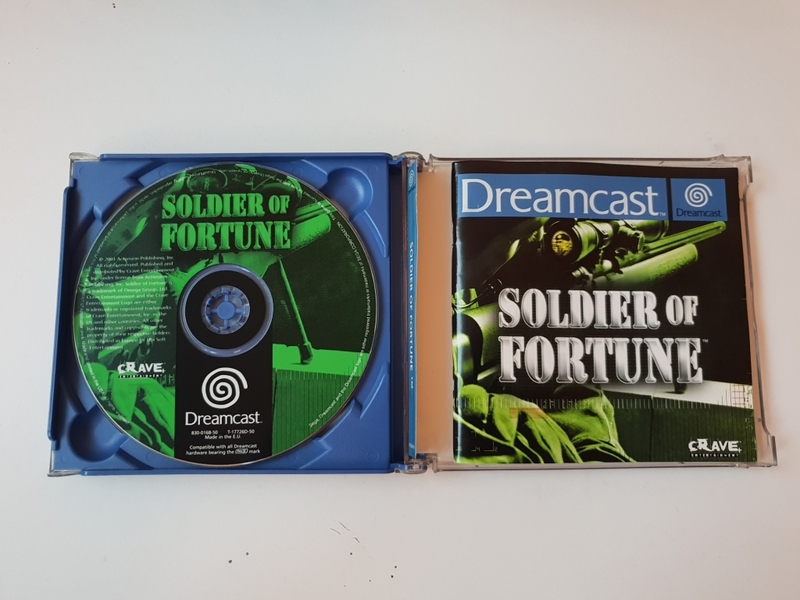 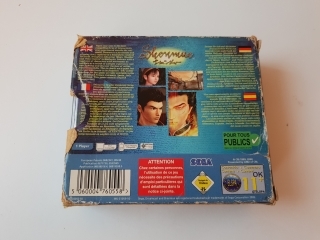 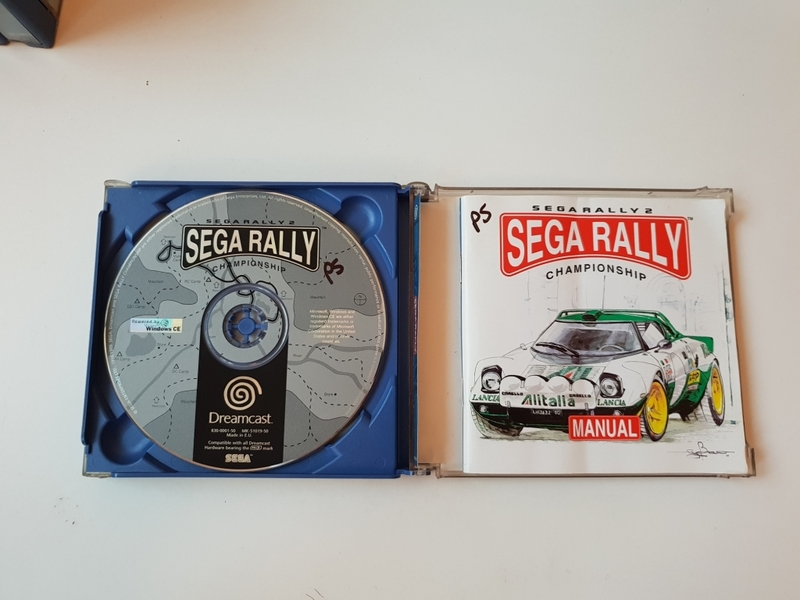 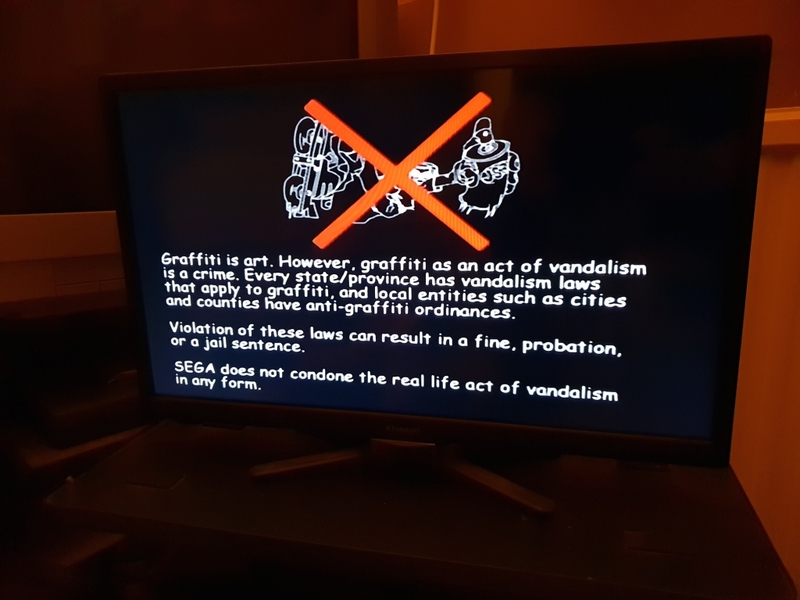 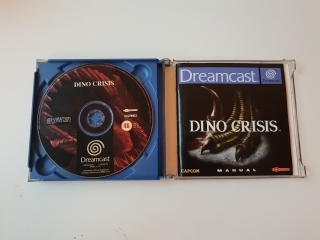 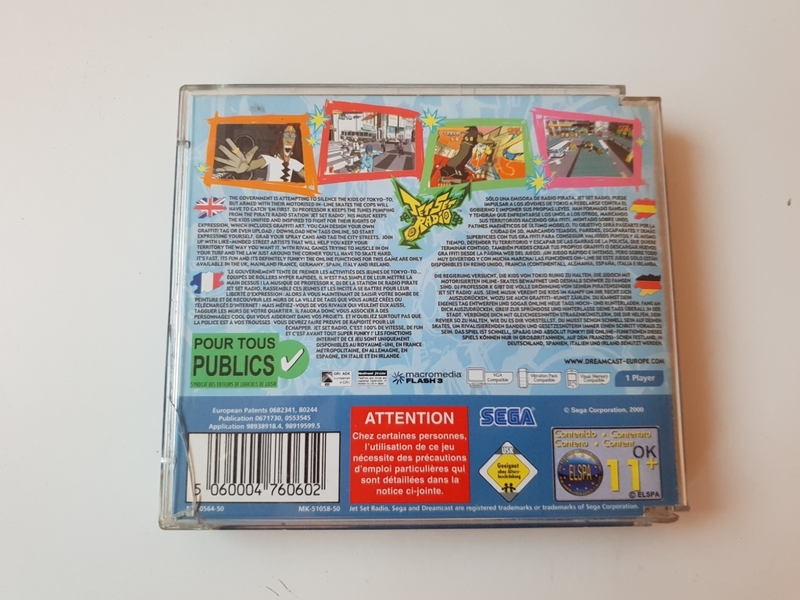 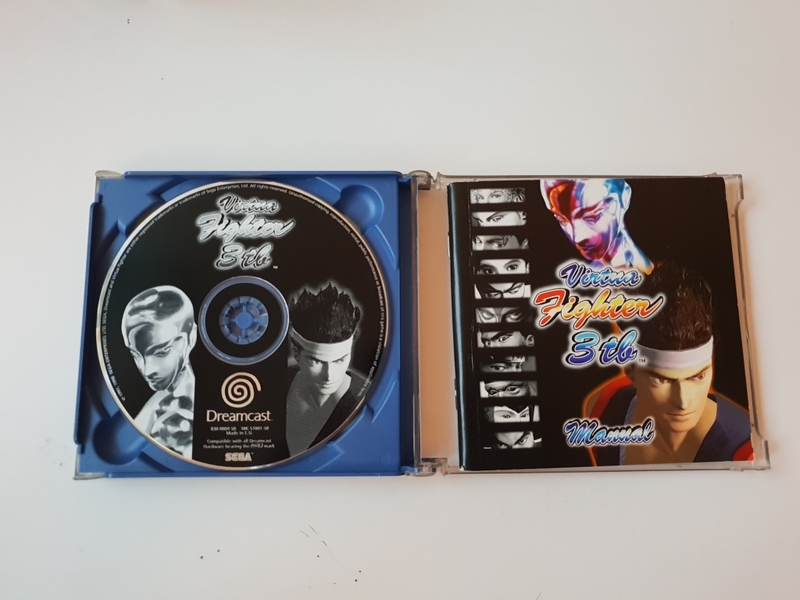 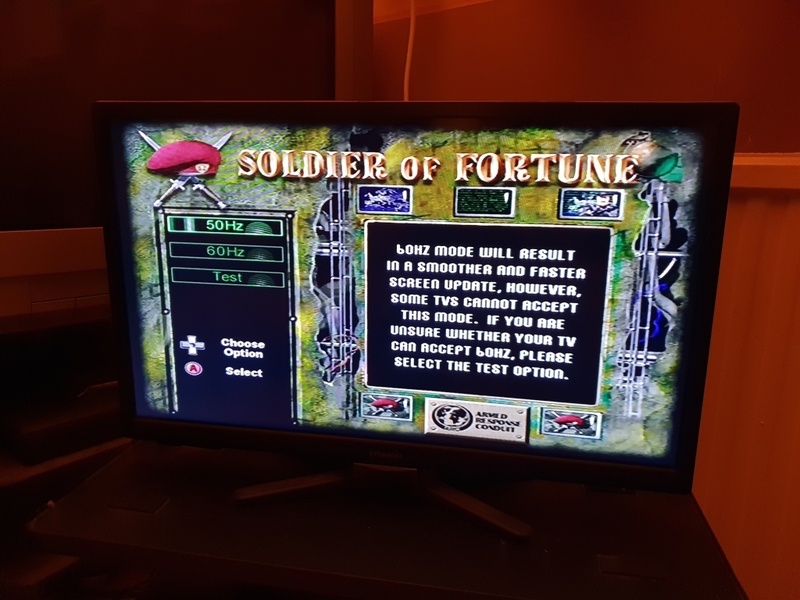 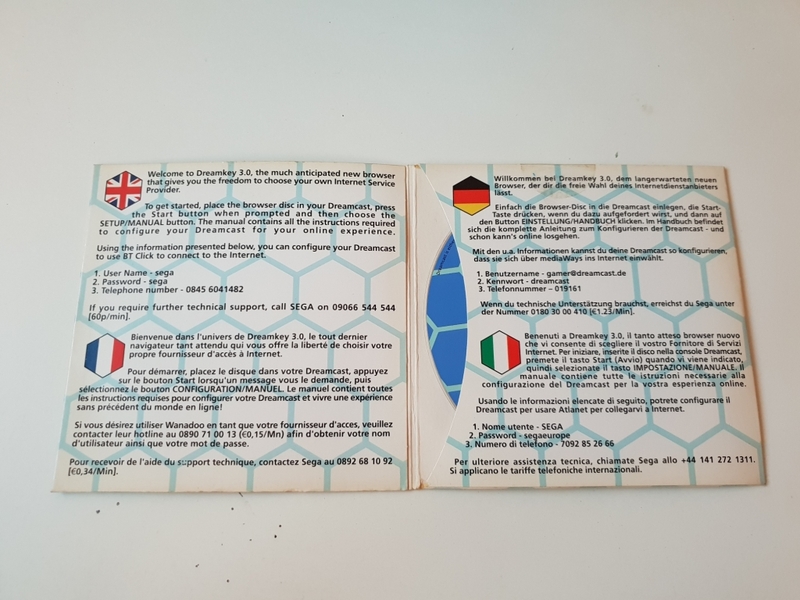 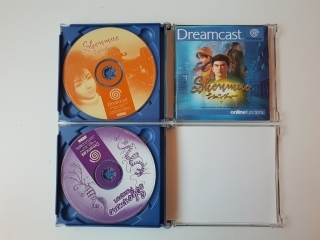 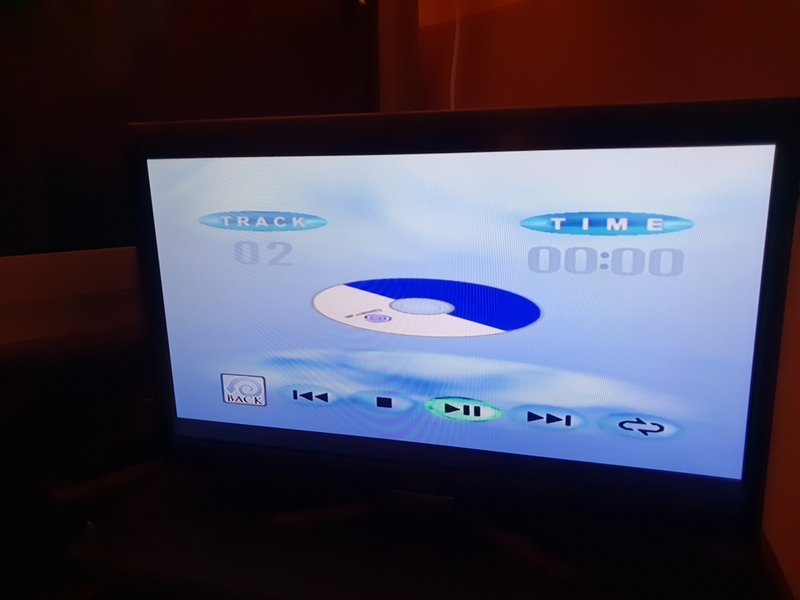 Once set, providing you don't have a game disc in the drive, you'll be greeted with a short animation and then the menu screen, the icons dance around when selected. 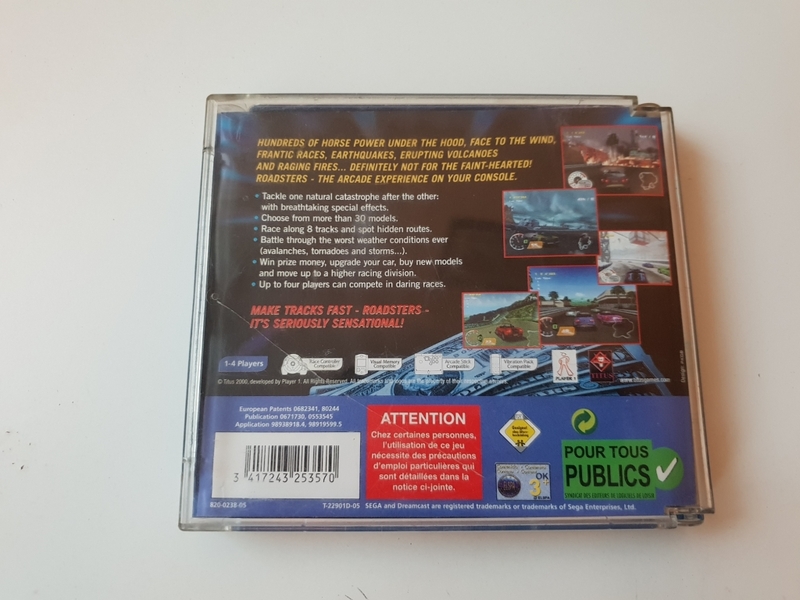 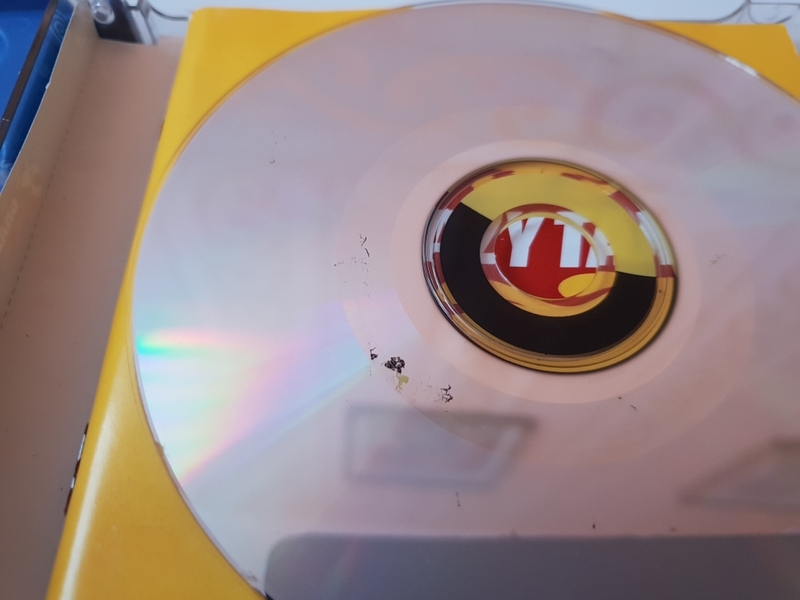 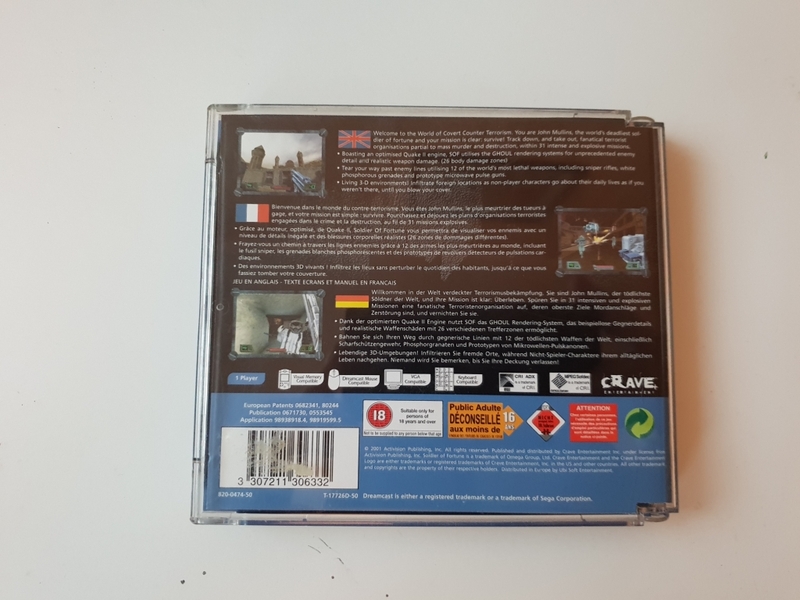 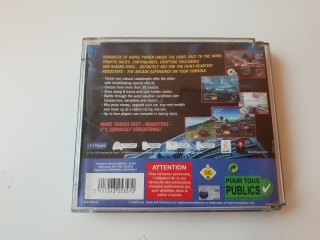 If a game disc is in the drive, the game will start. The unit itself is quite loud with the fan running and the disc spinning. 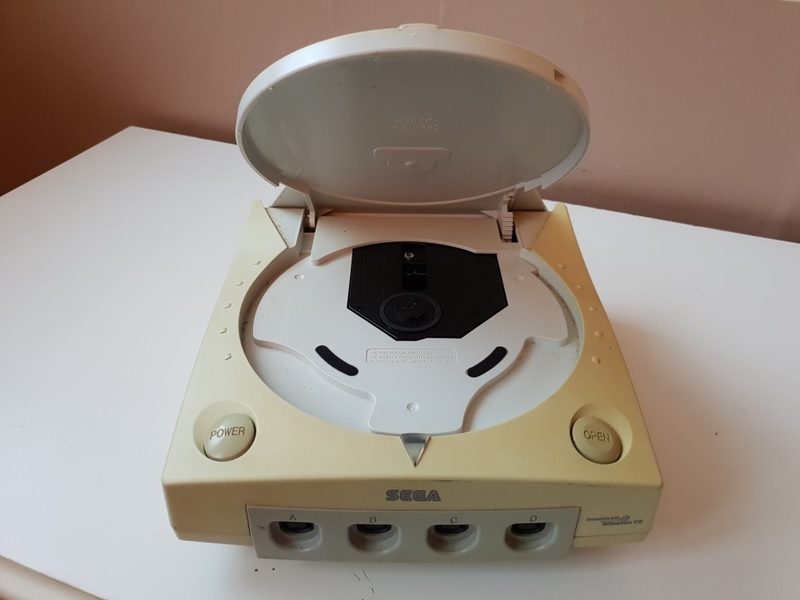 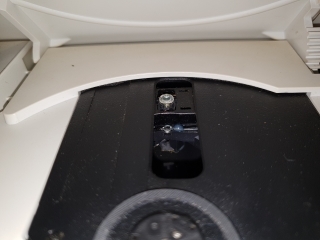 The disc spins in the CD player, which is a bit boring, and not like the space ship in the Sega Saturn. 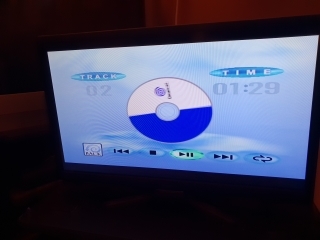 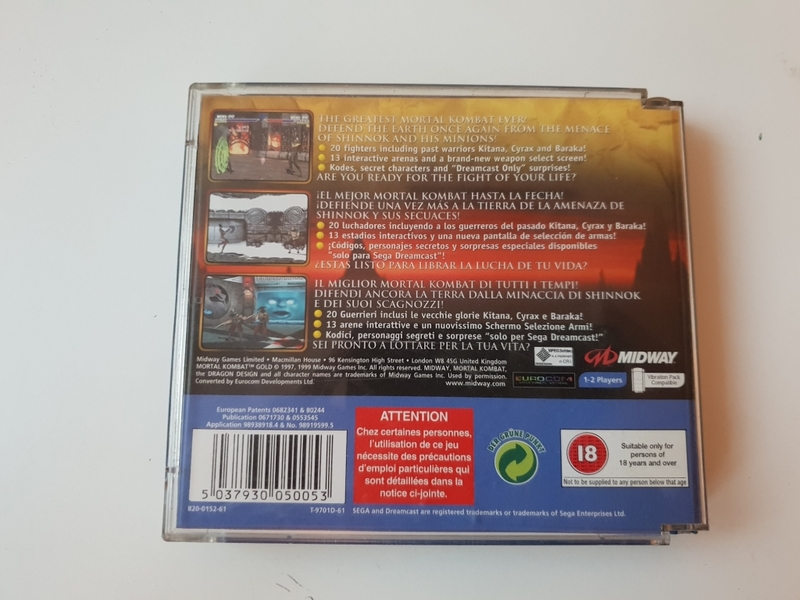 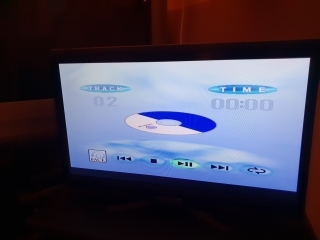 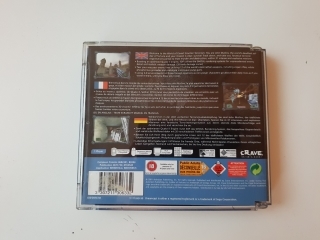 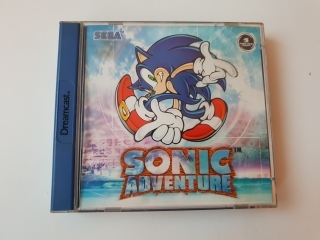 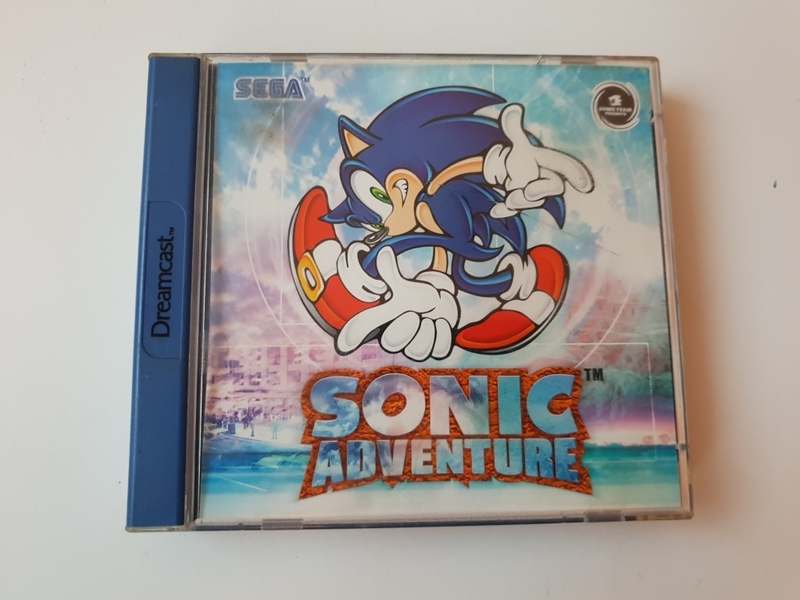 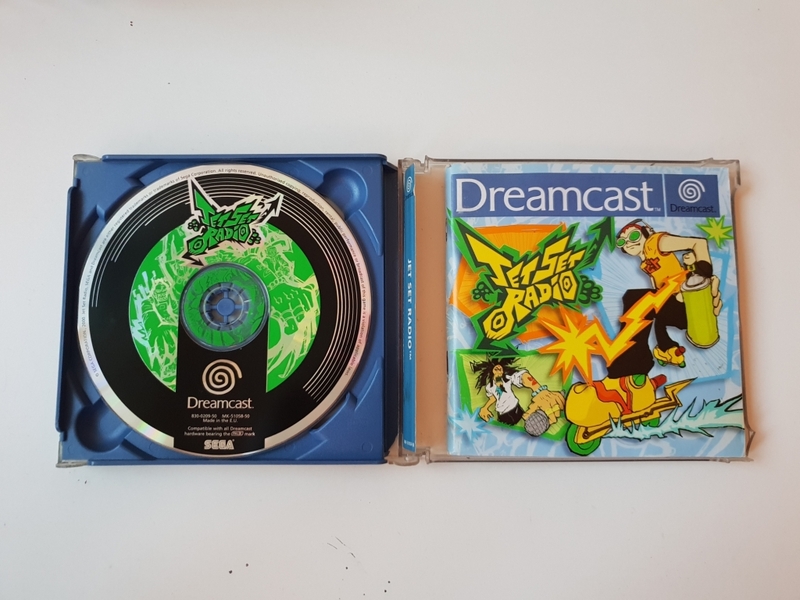 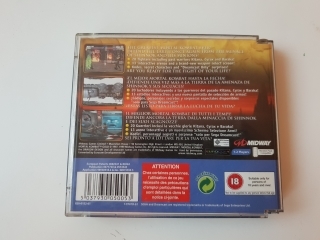 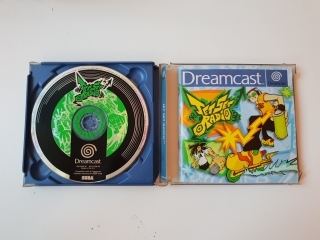 If you put a game disc in and select the CD player, the disc has game related artwork on it instead. 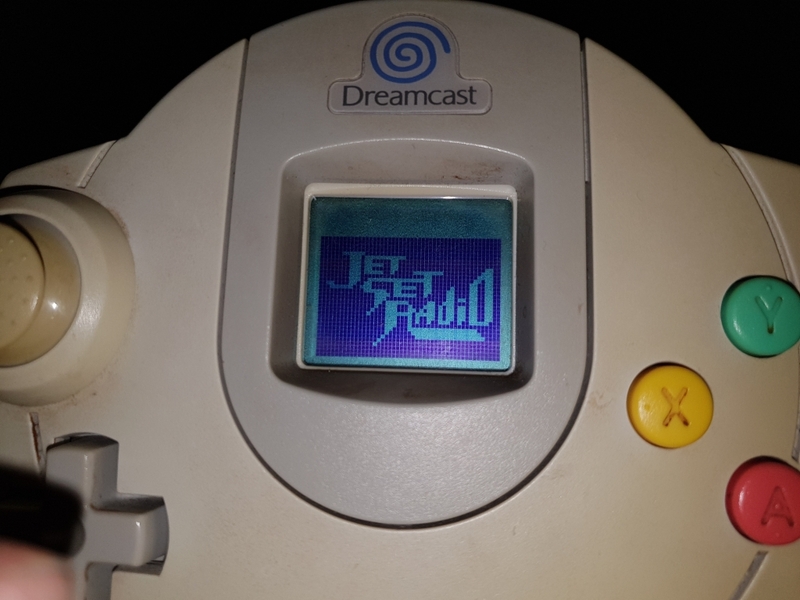 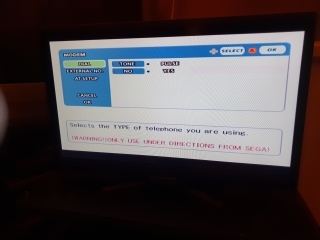 The online functions were in a separate menu, and would read your settings from the VMU and attempt to connect. Obviously, it won't work here. 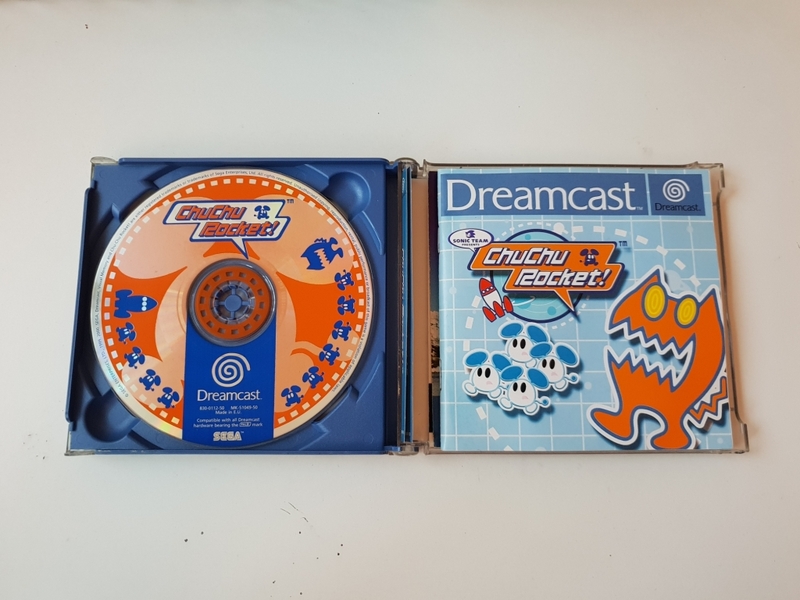 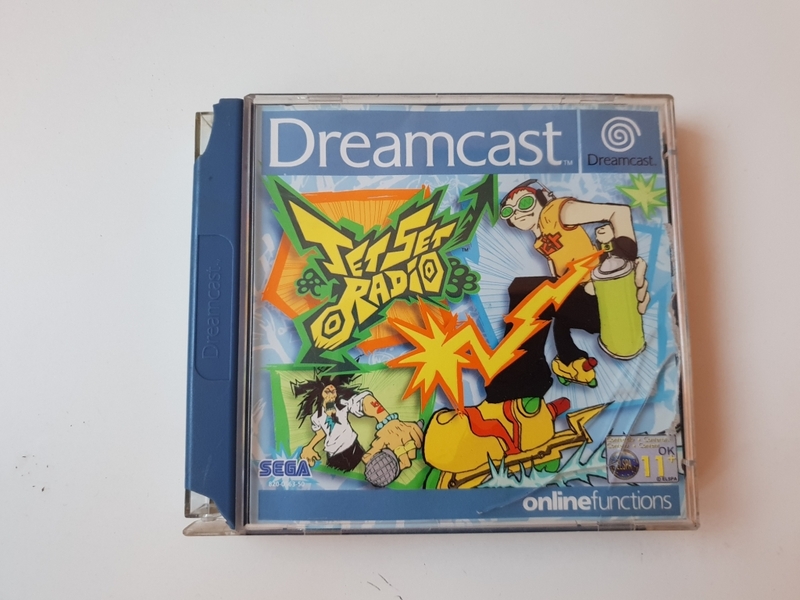 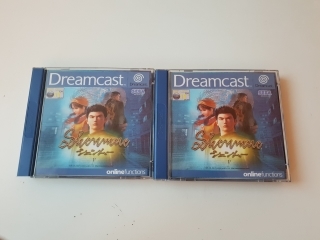 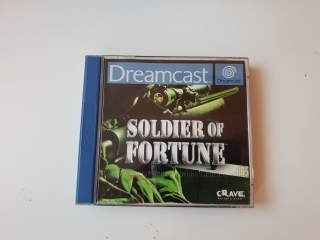 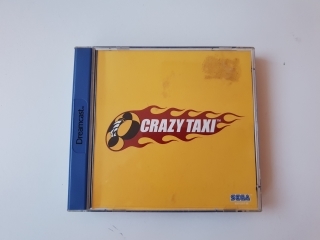 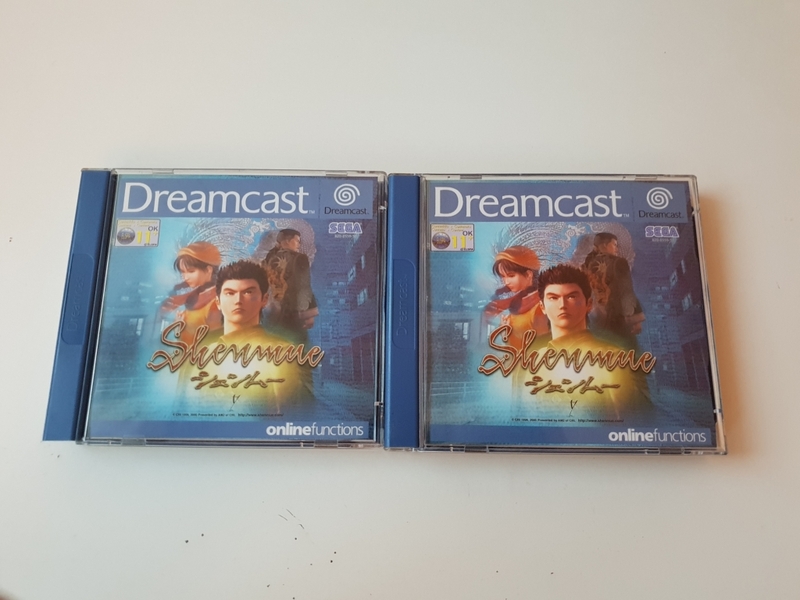 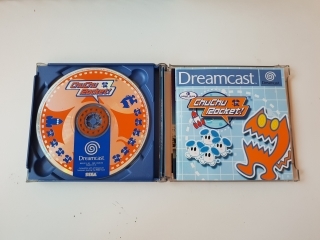 And that's my Sega Dreamcast collection done!